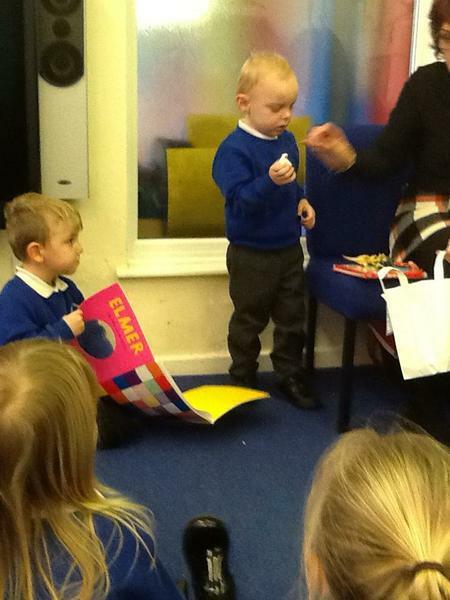 Well done to all our children that received a certificate for reading regularly at home! 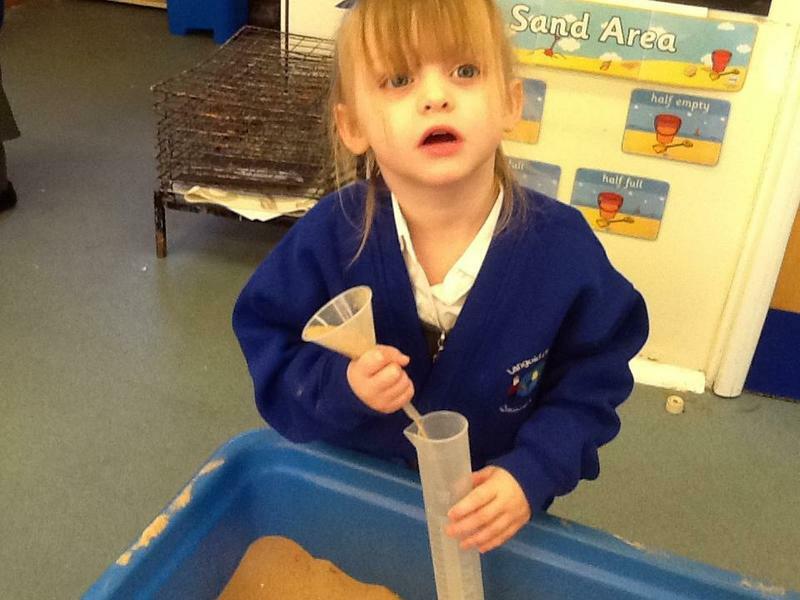 I am very proud! 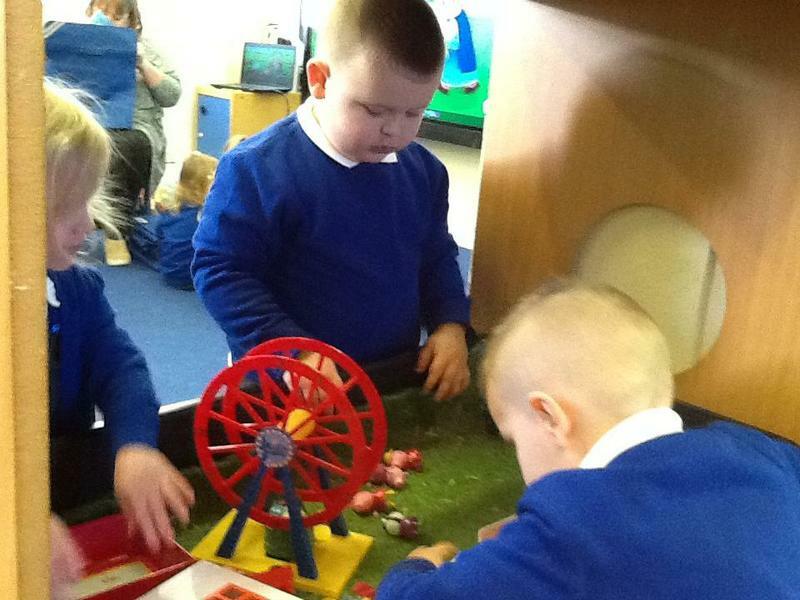 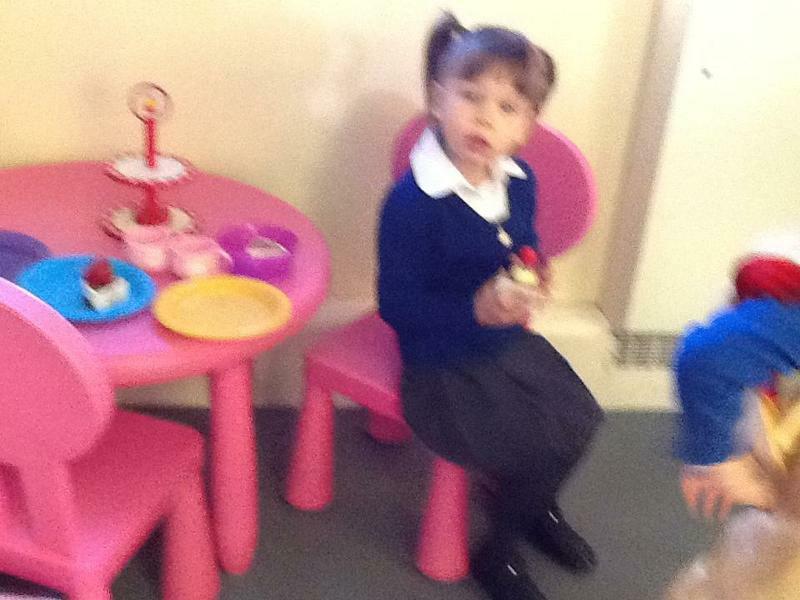 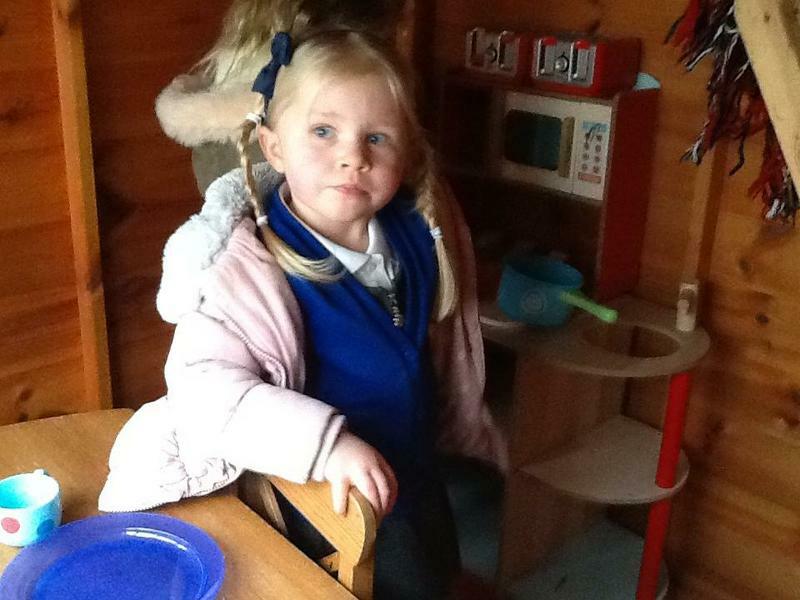 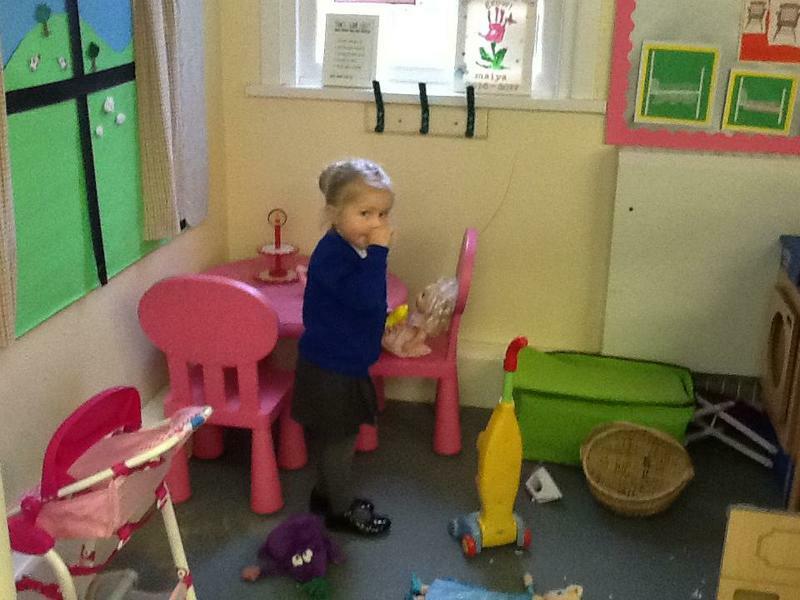 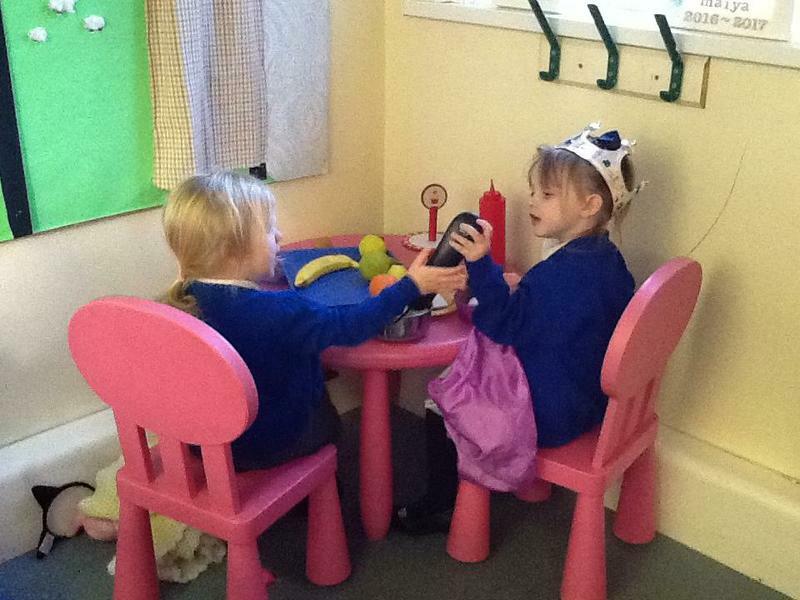 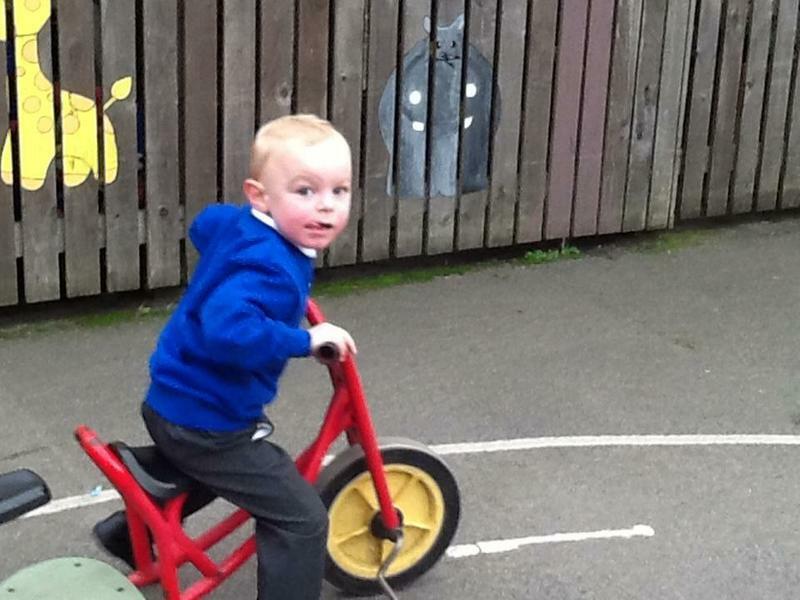 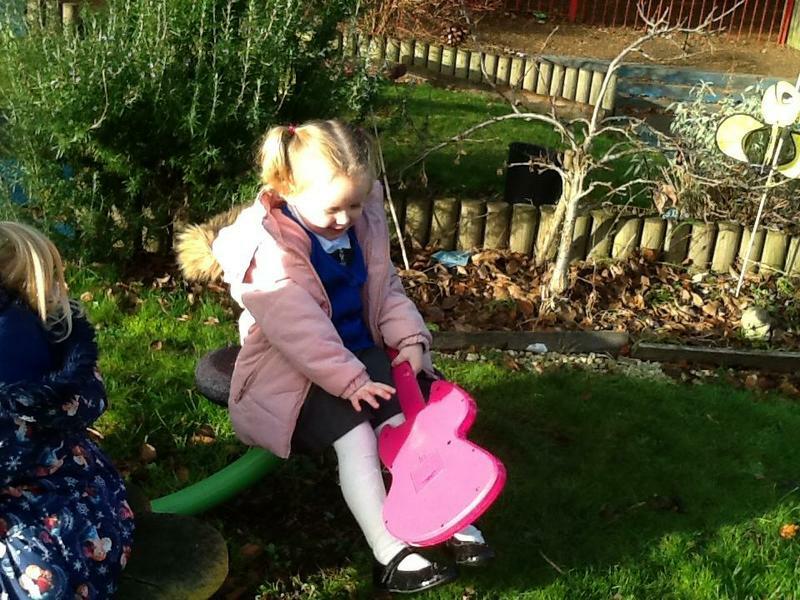 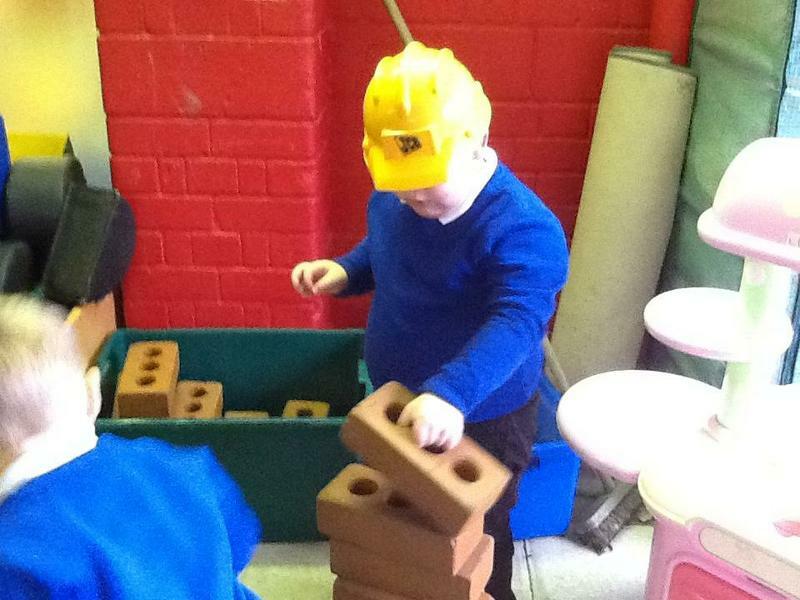 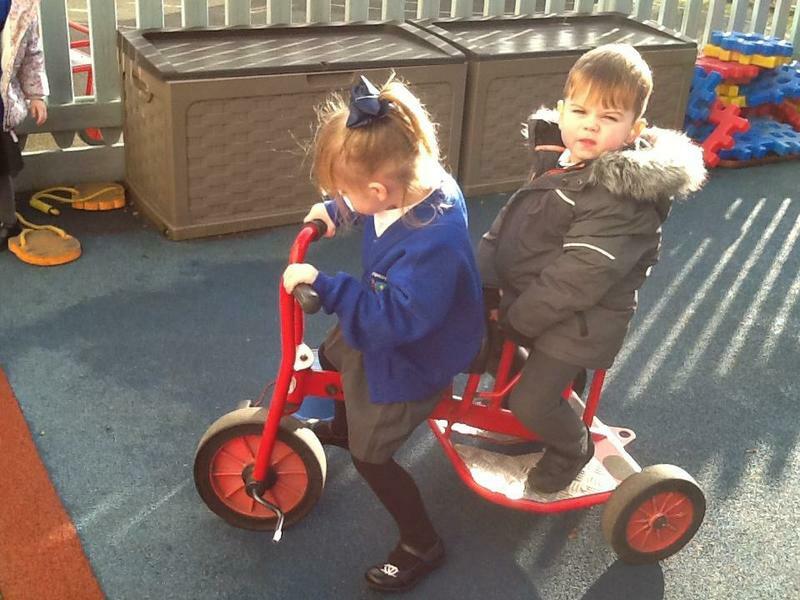 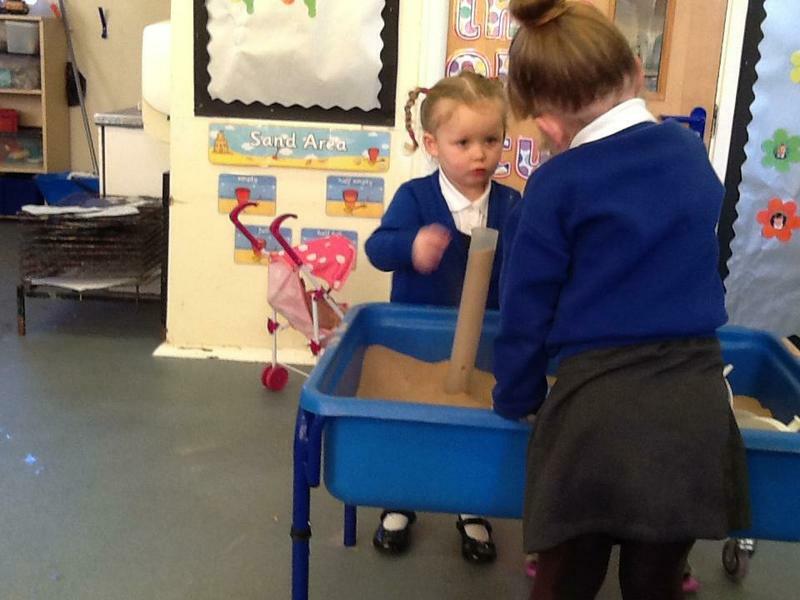 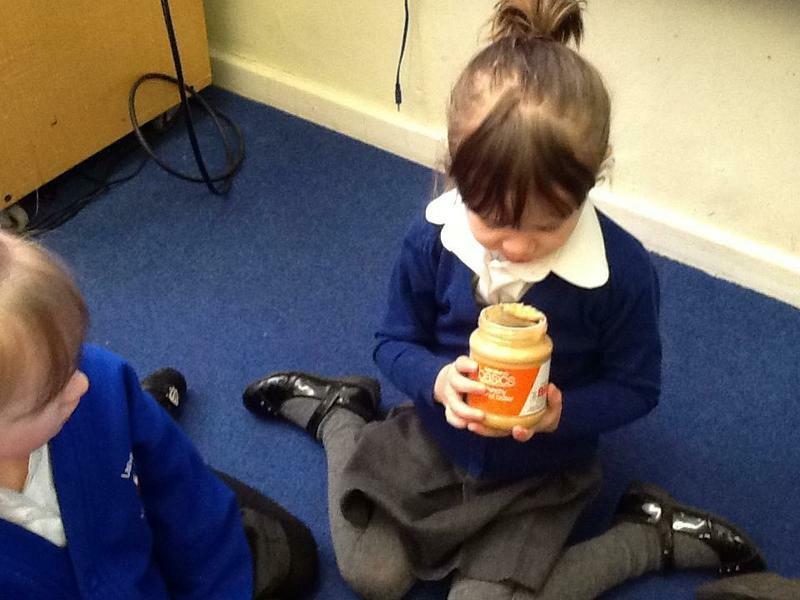 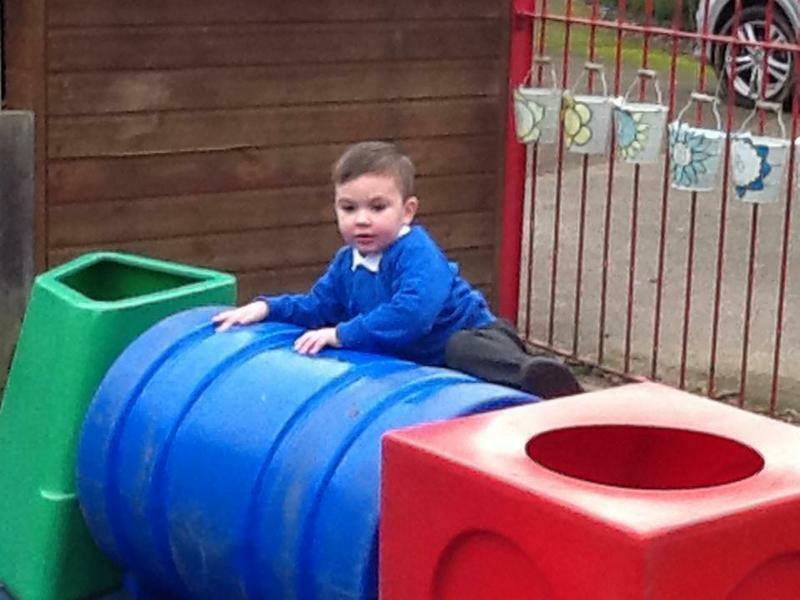 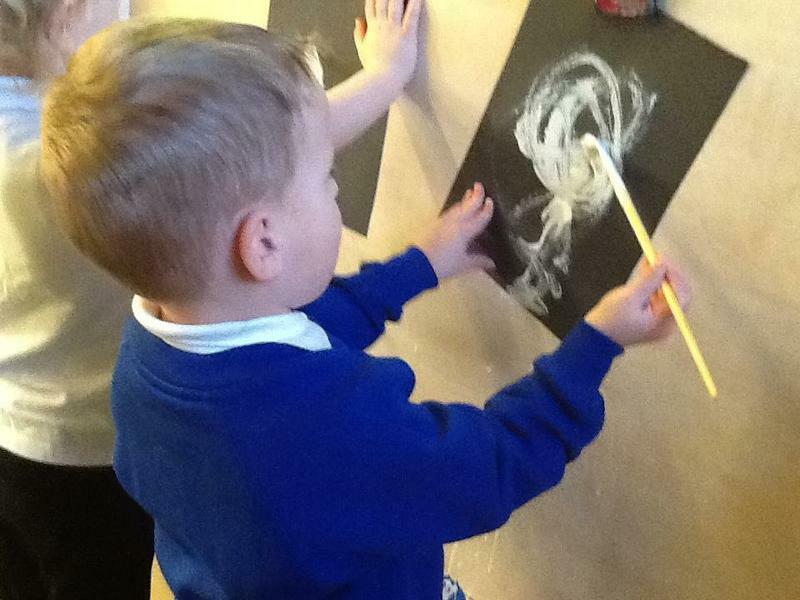 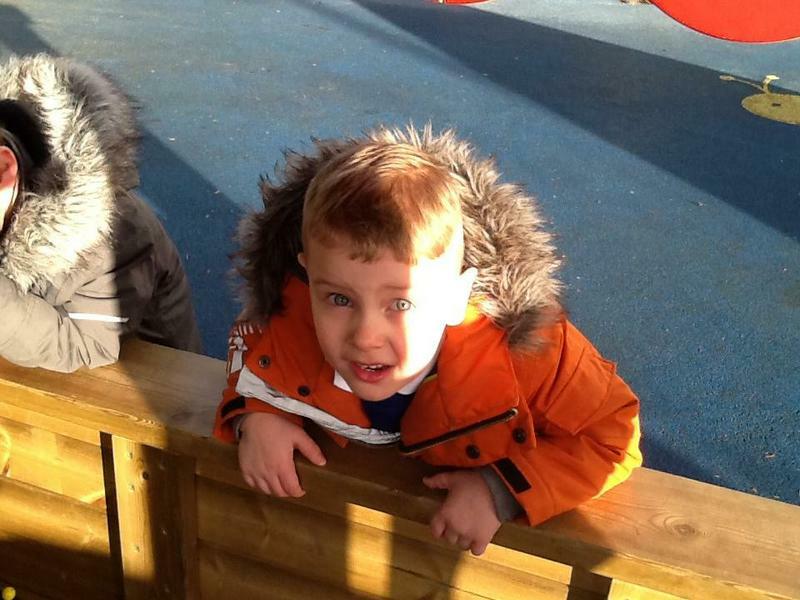 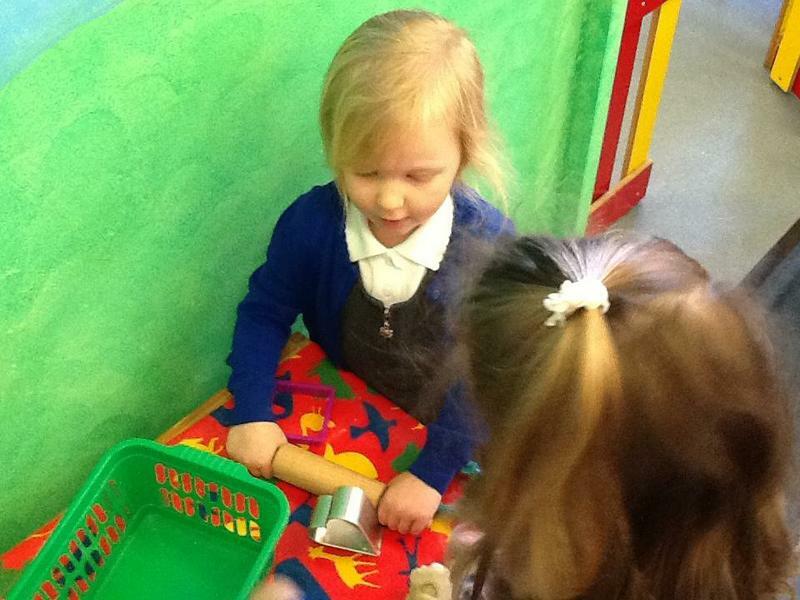 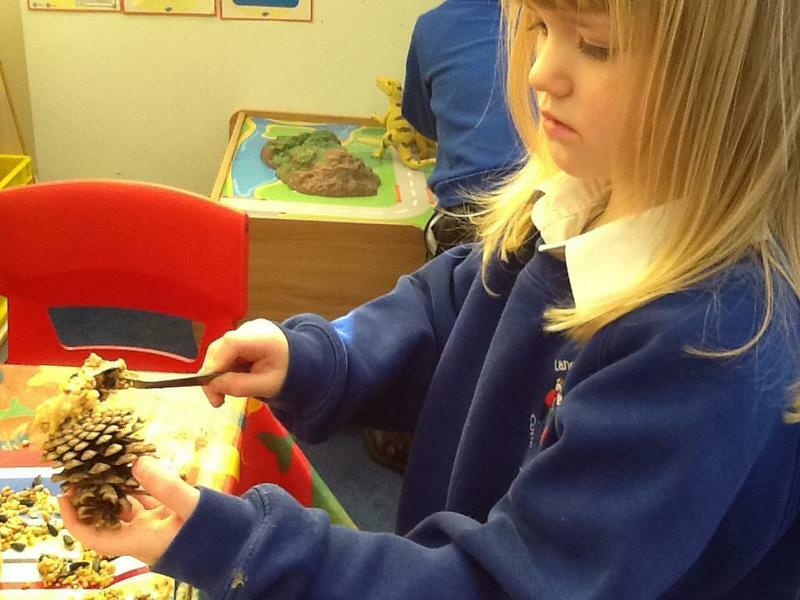 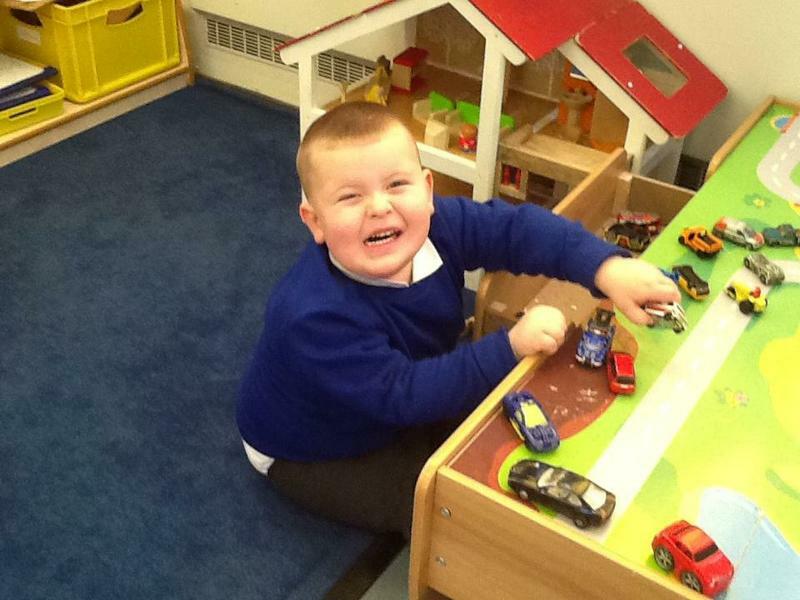 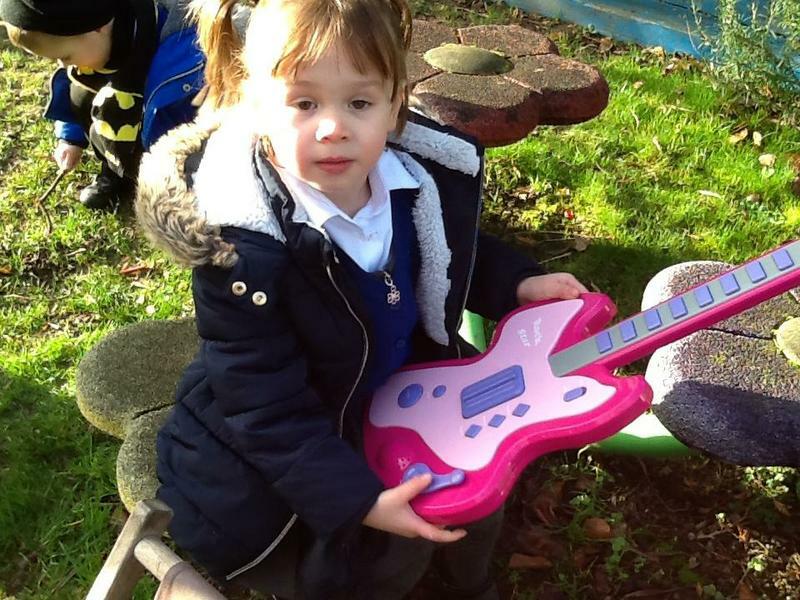 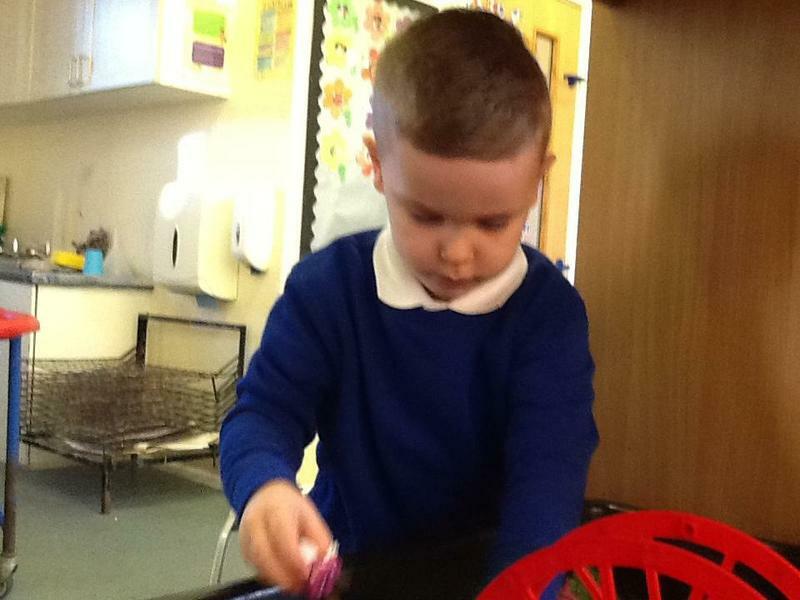 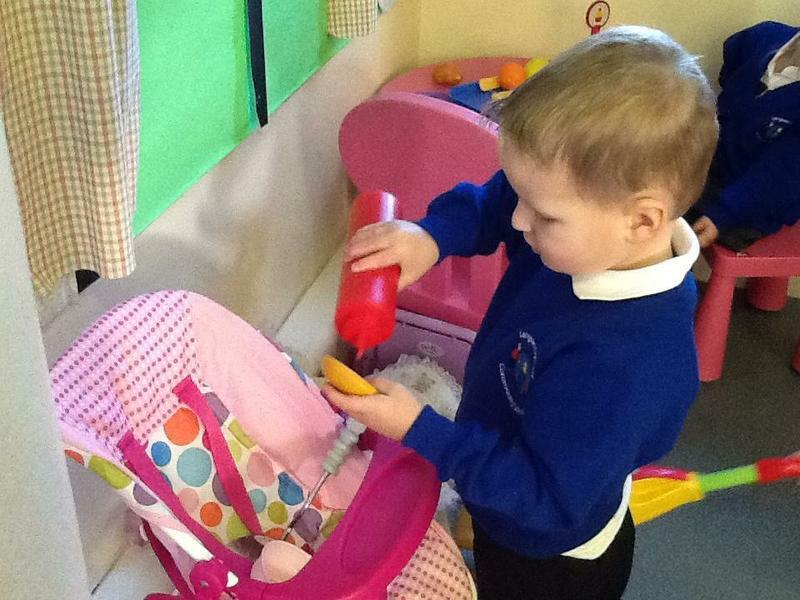 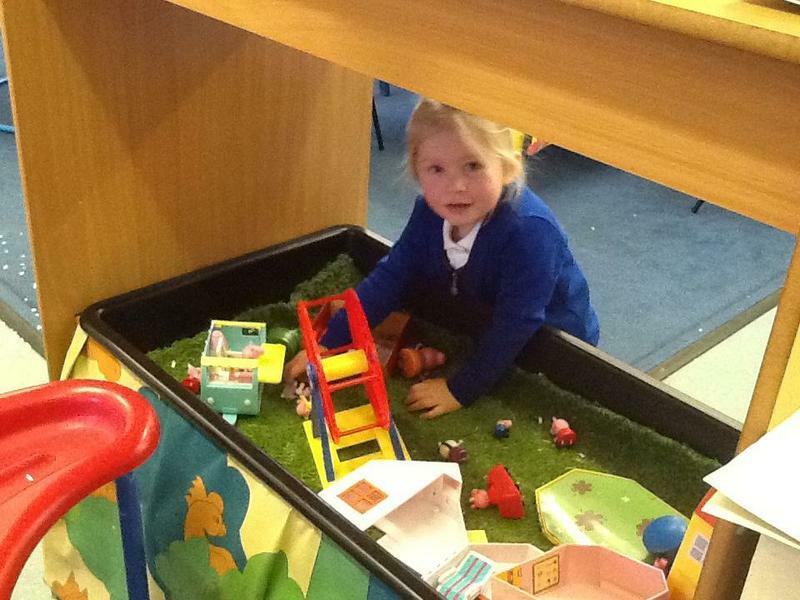 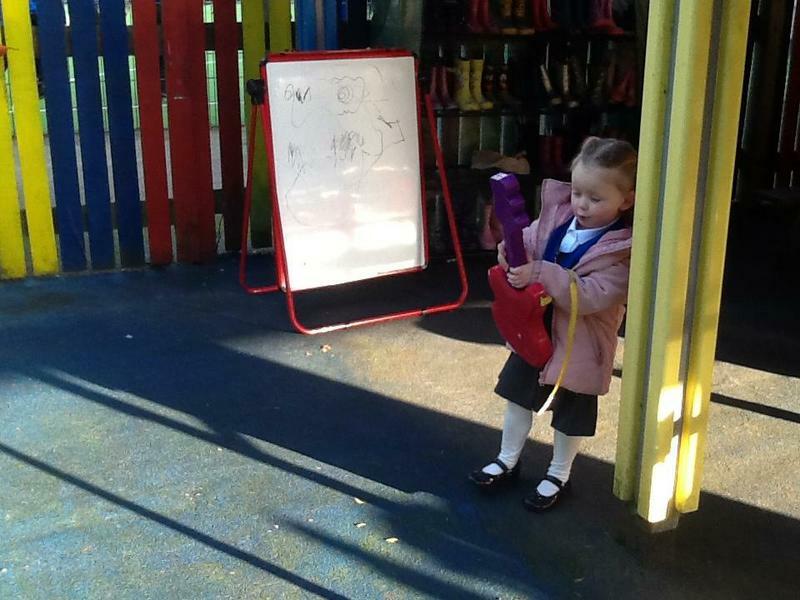 What a busy time we have had in our amazing nursery. 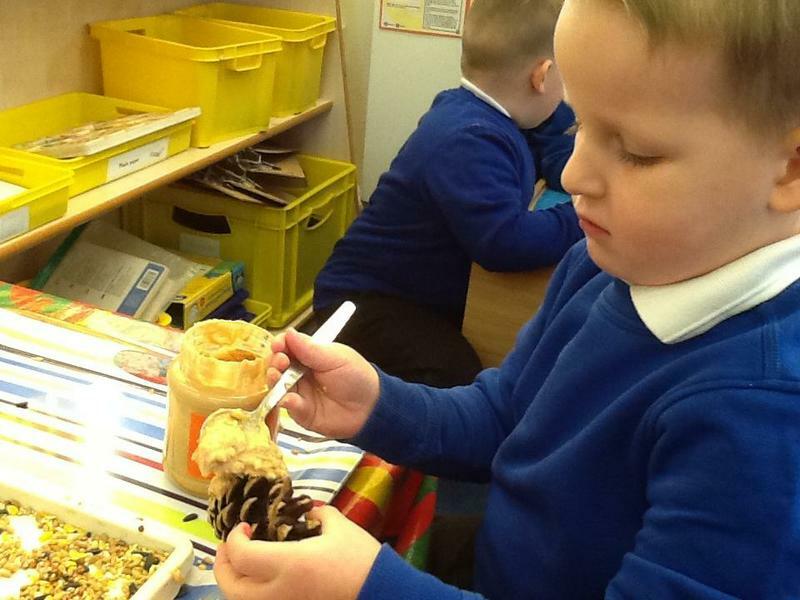 Our topic has been Winter Wonderland. 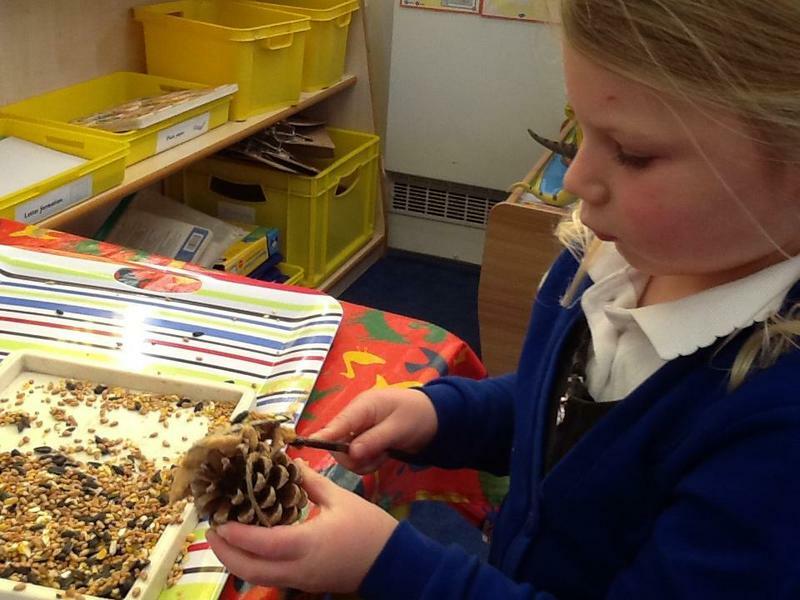 We have talked about the weather and how we must look after our birds in winter. 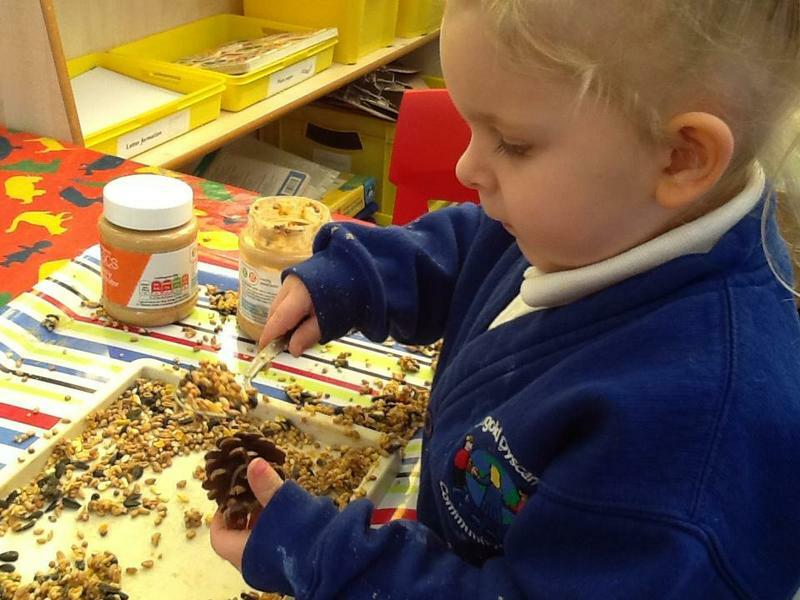 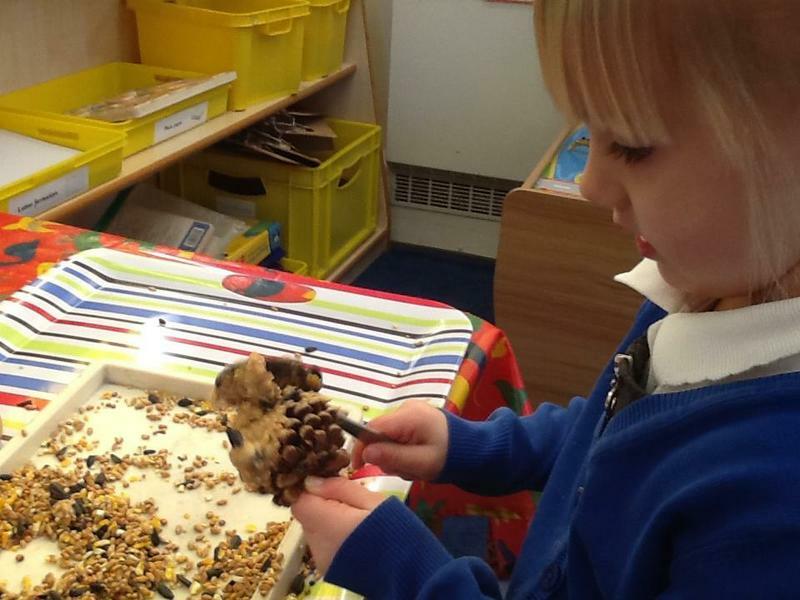 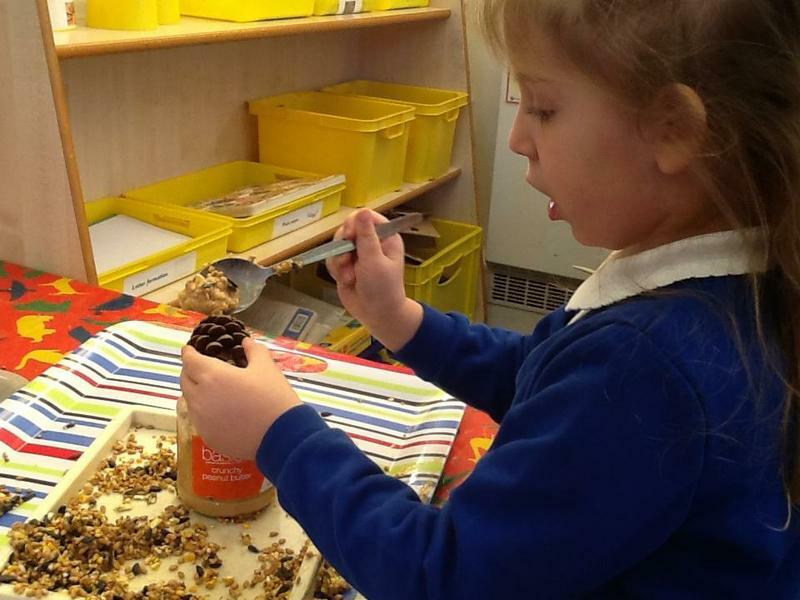 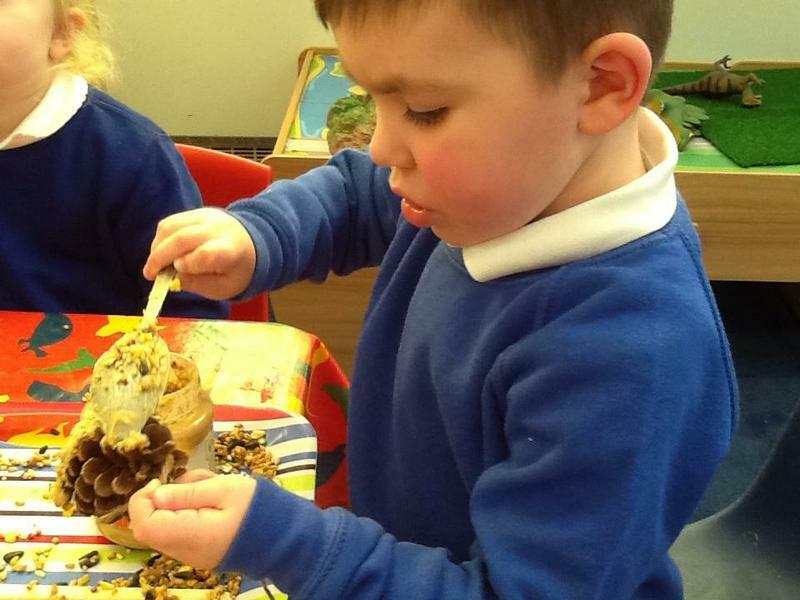 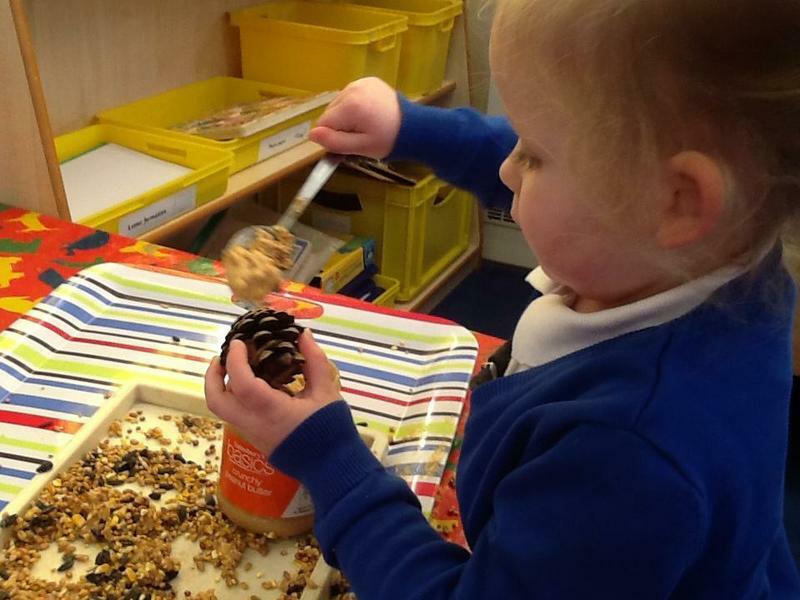 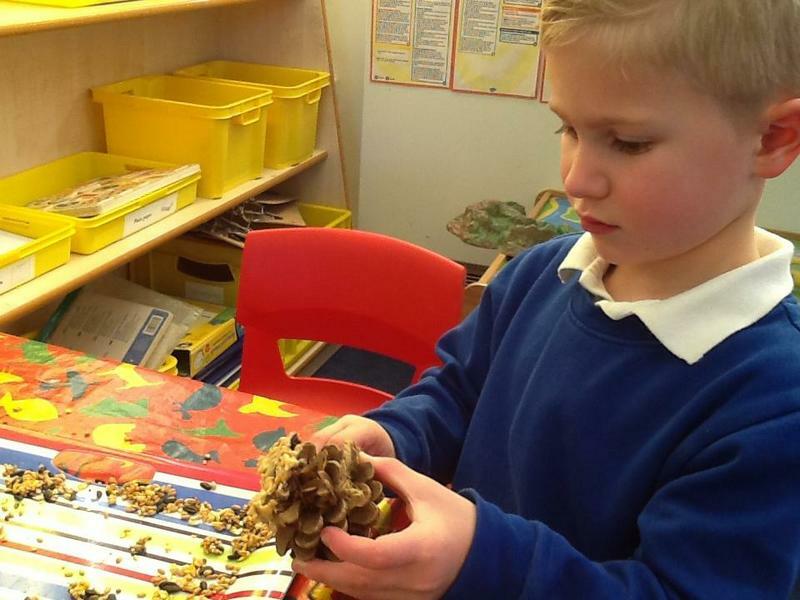 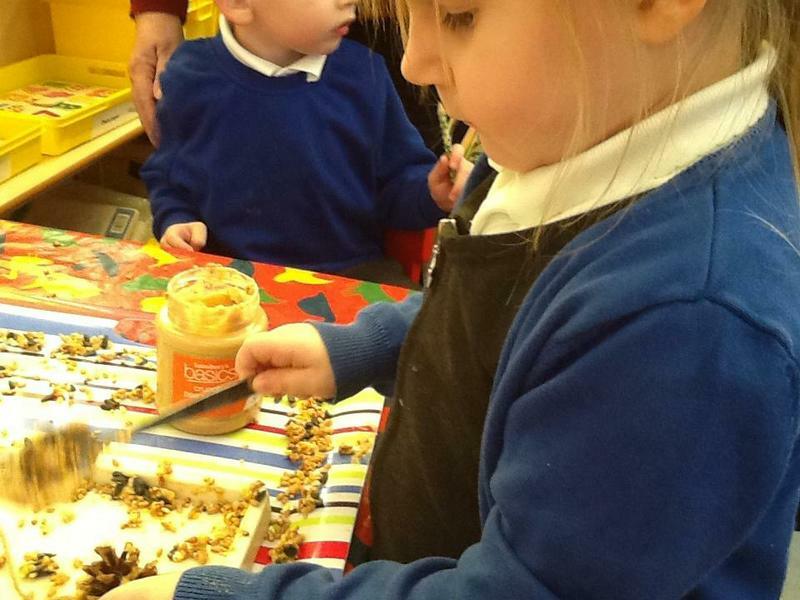 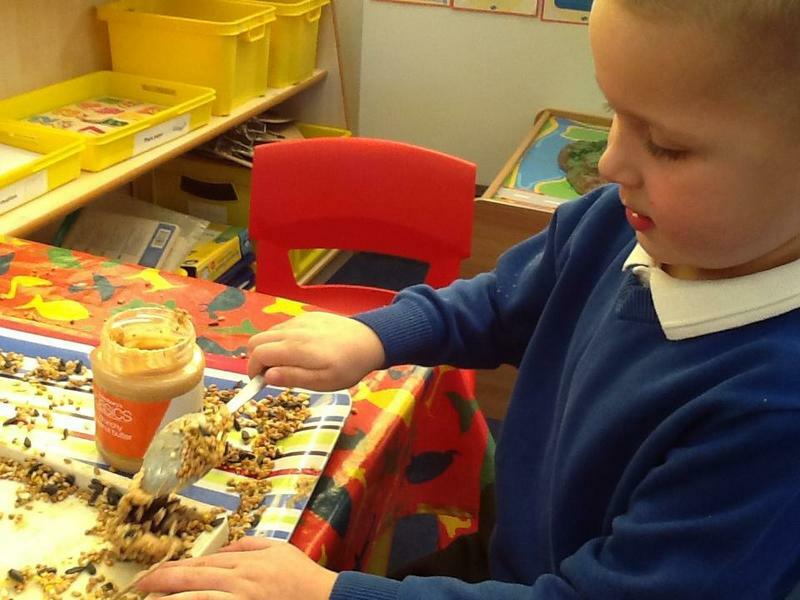 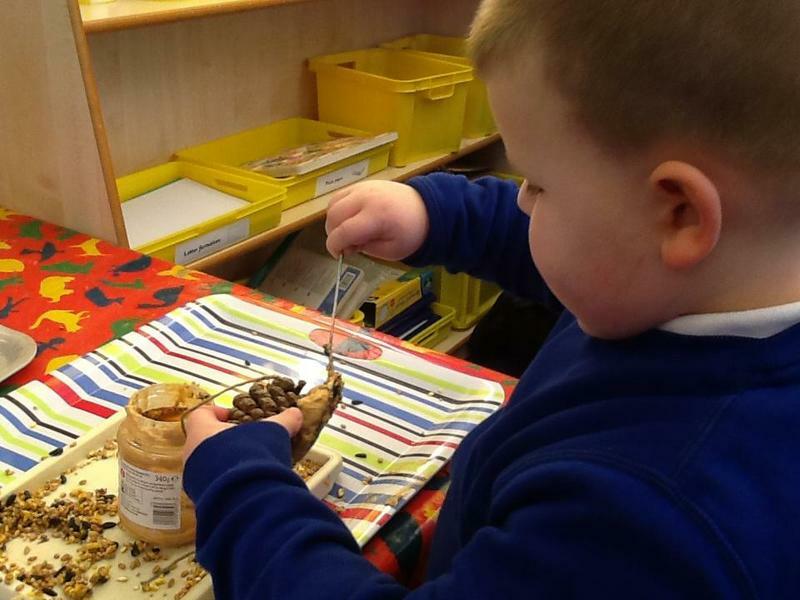 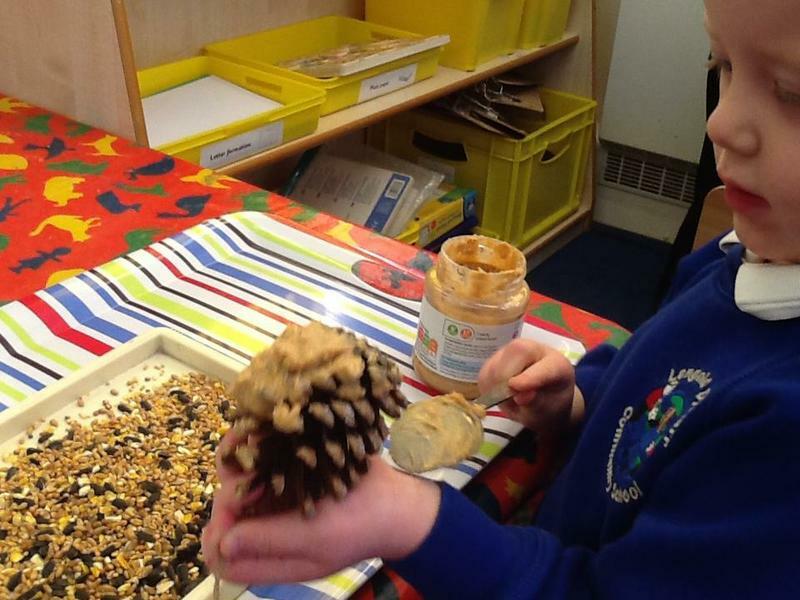 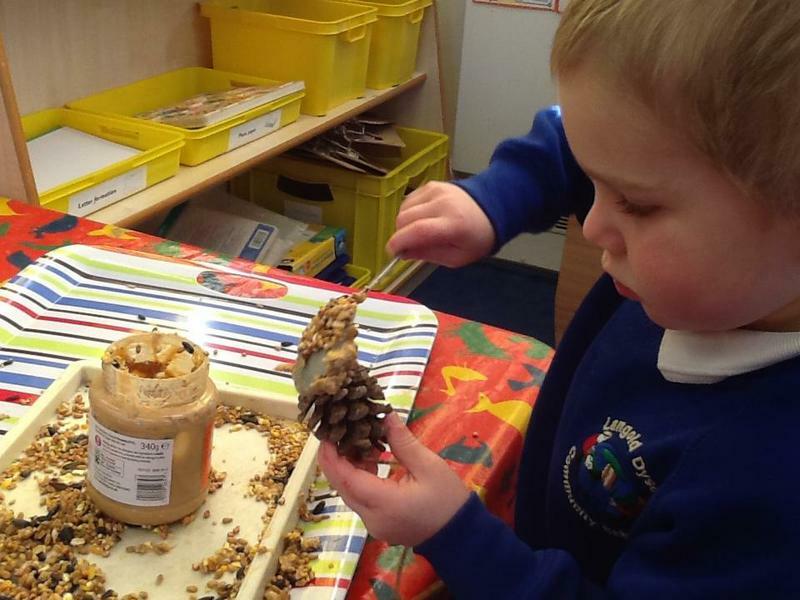 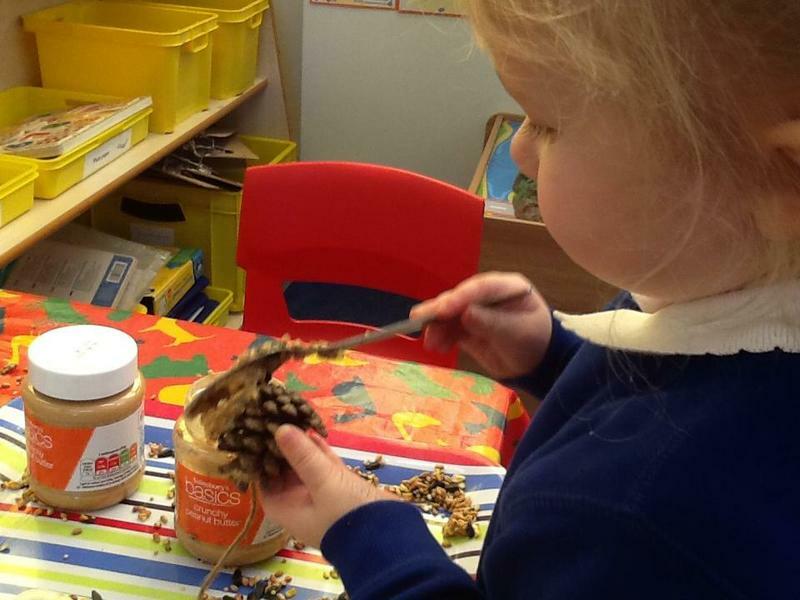 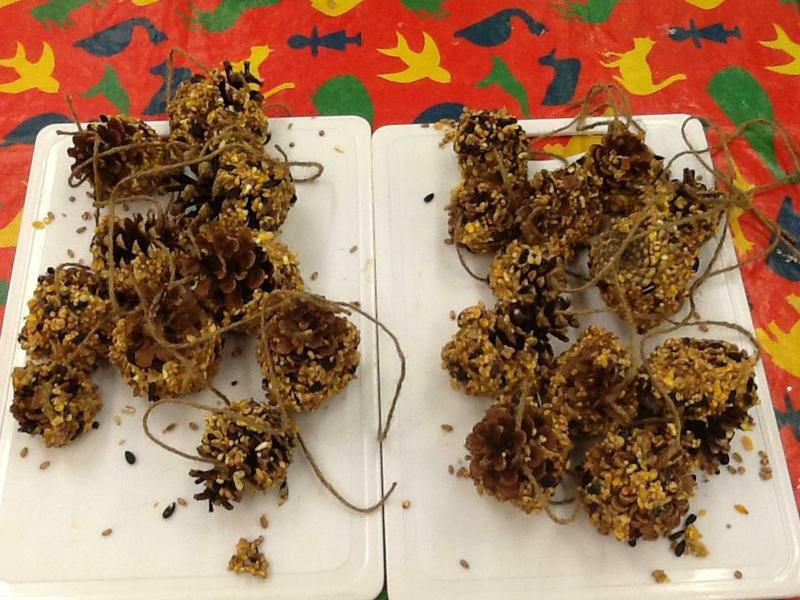 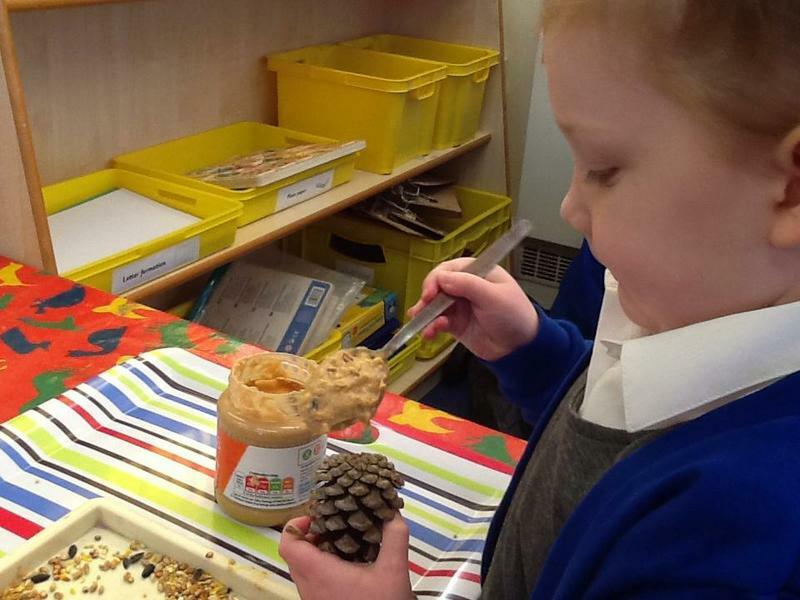 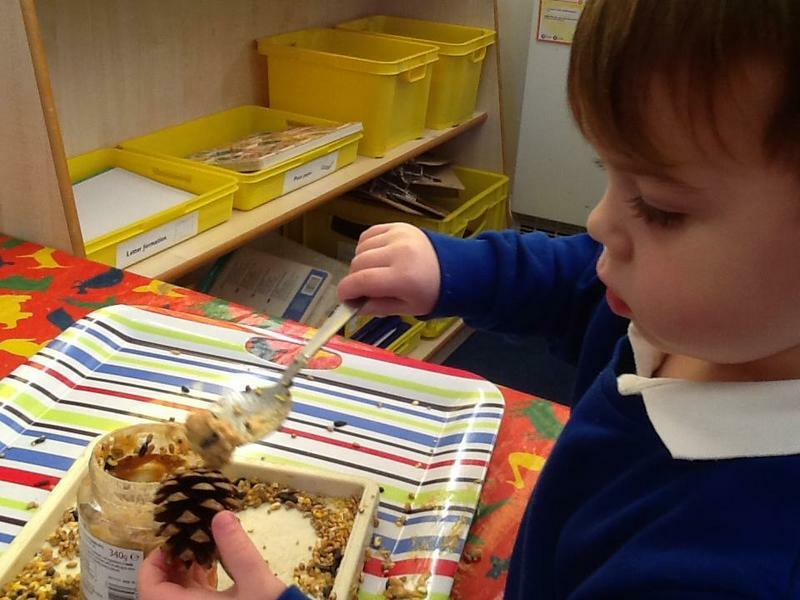 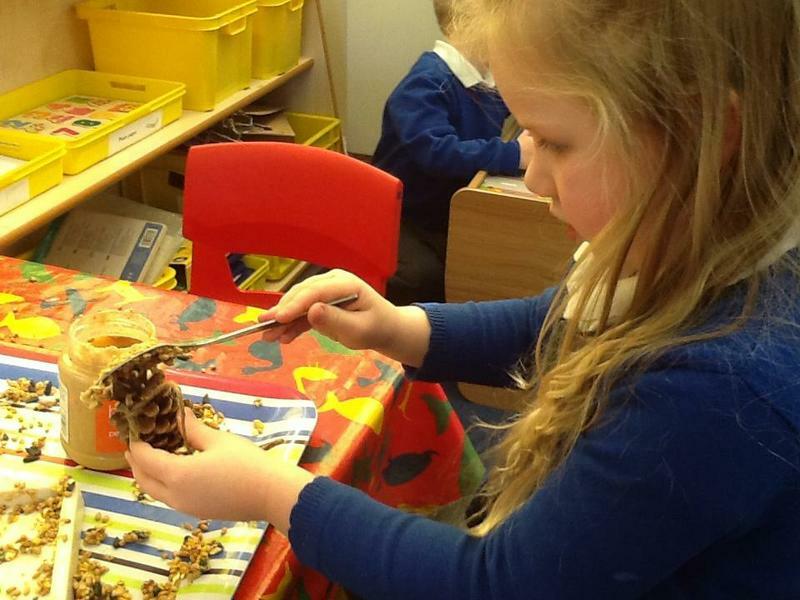 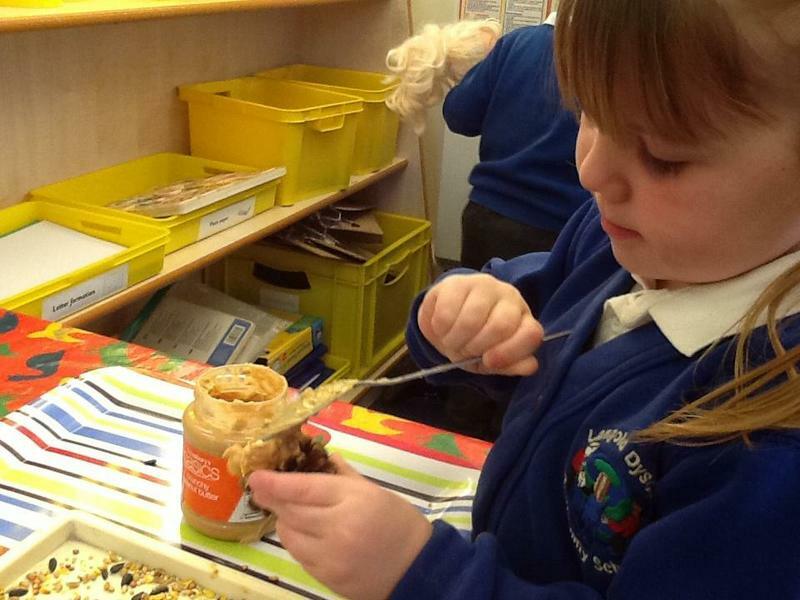 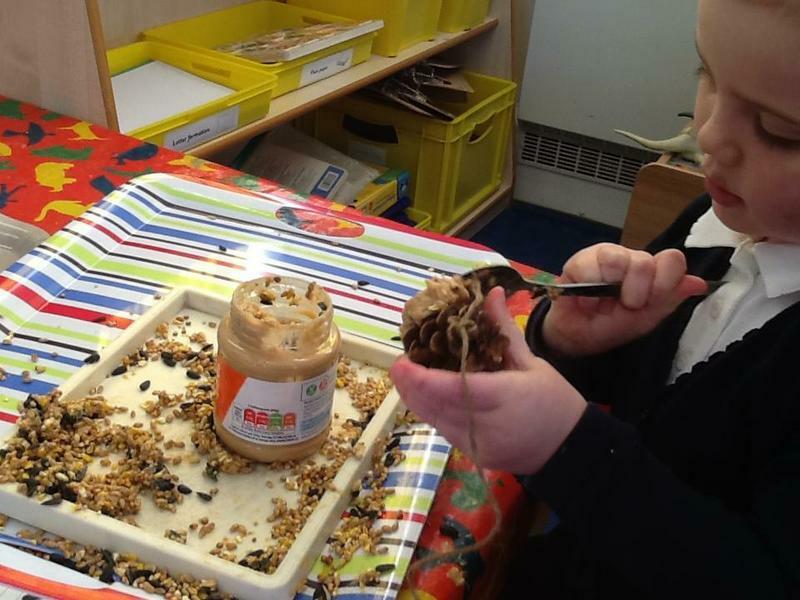 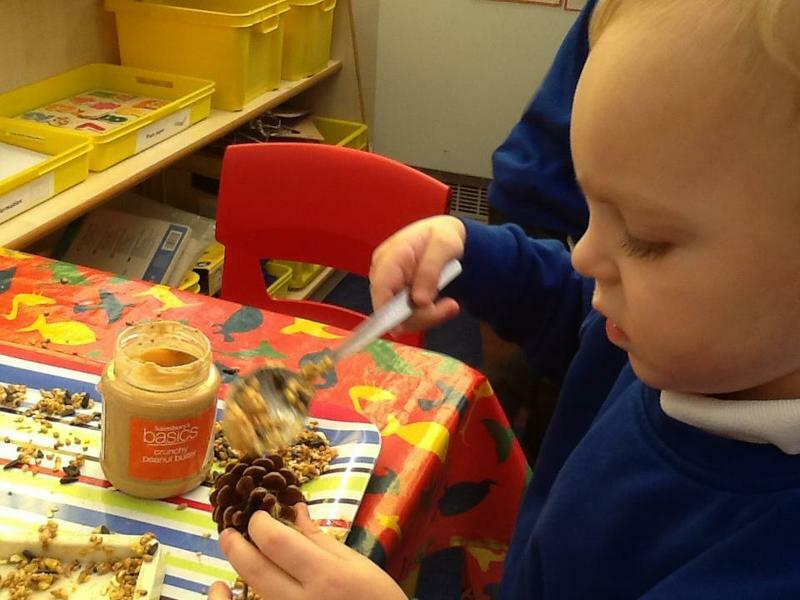 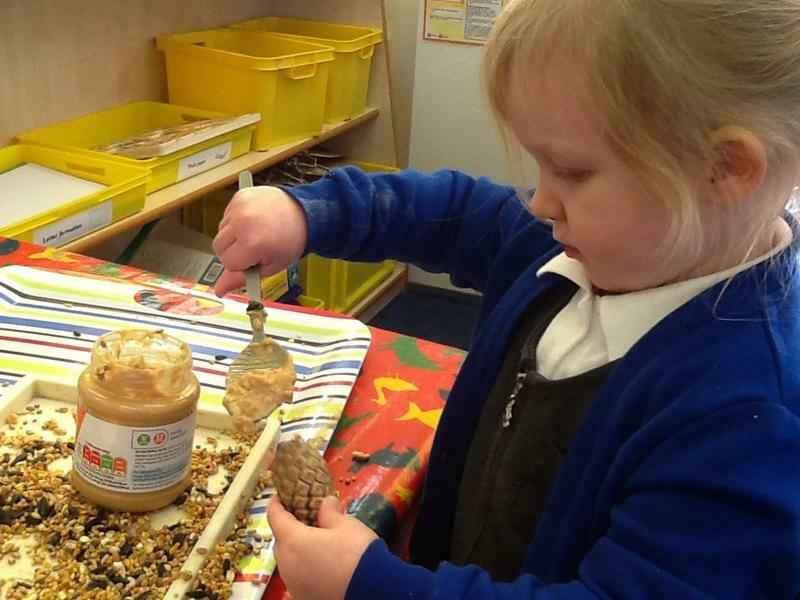 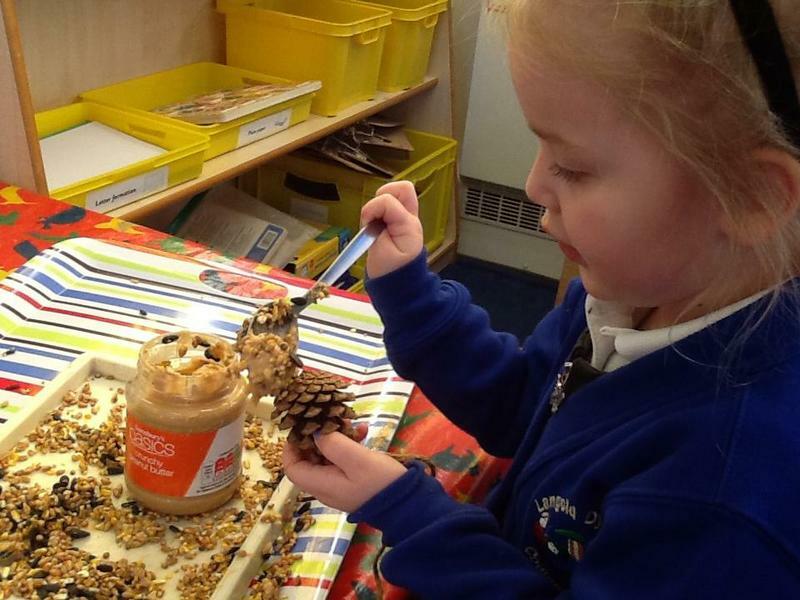 We mae some yummy bird feeders using pine cones, peanut butter and bird feed. 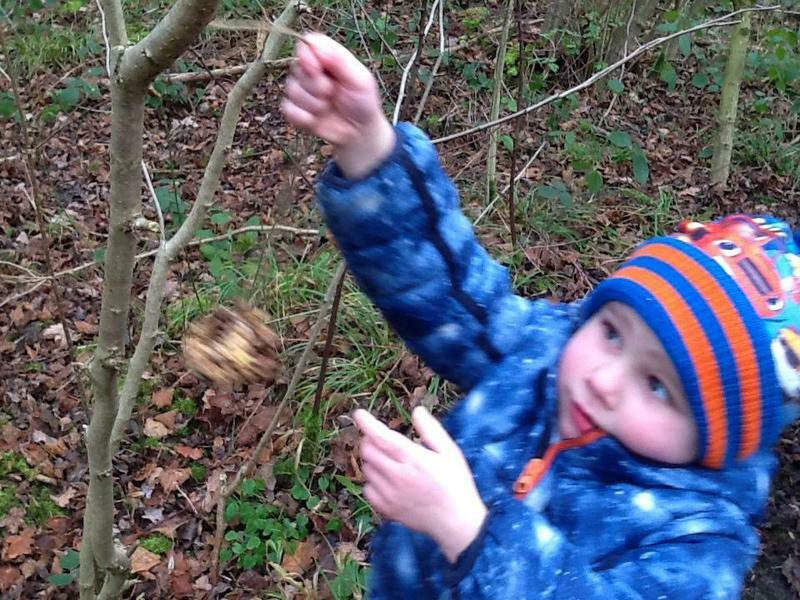 We then went into the woods and the children hung them in the trees. 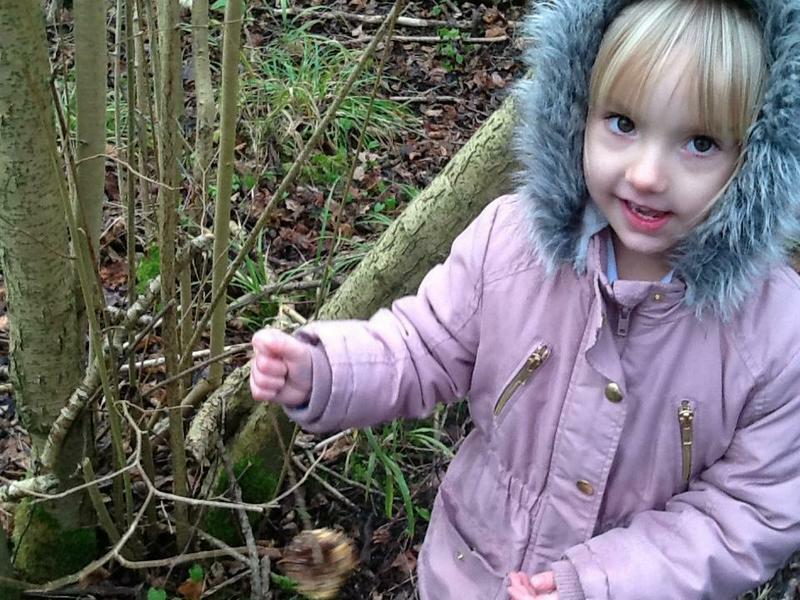 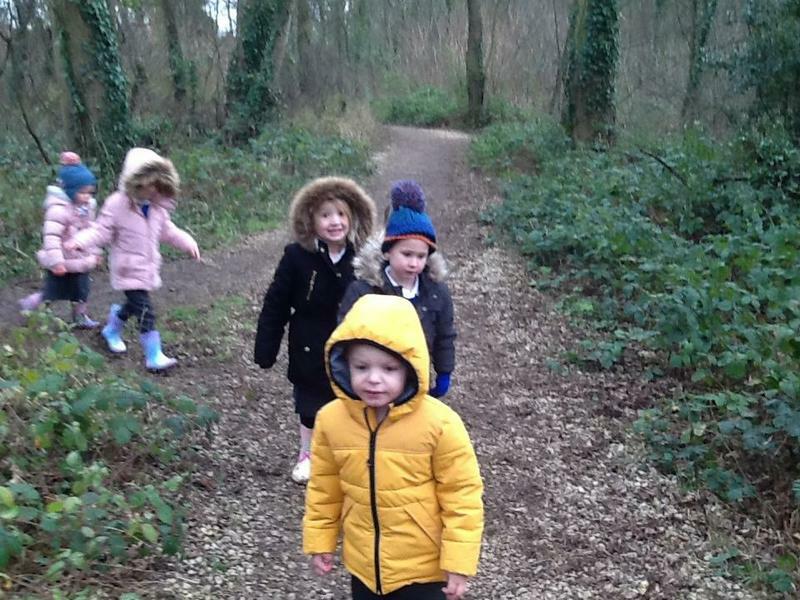 The children loved exploring the woods and drinking a delicious hot chocolate on their return. 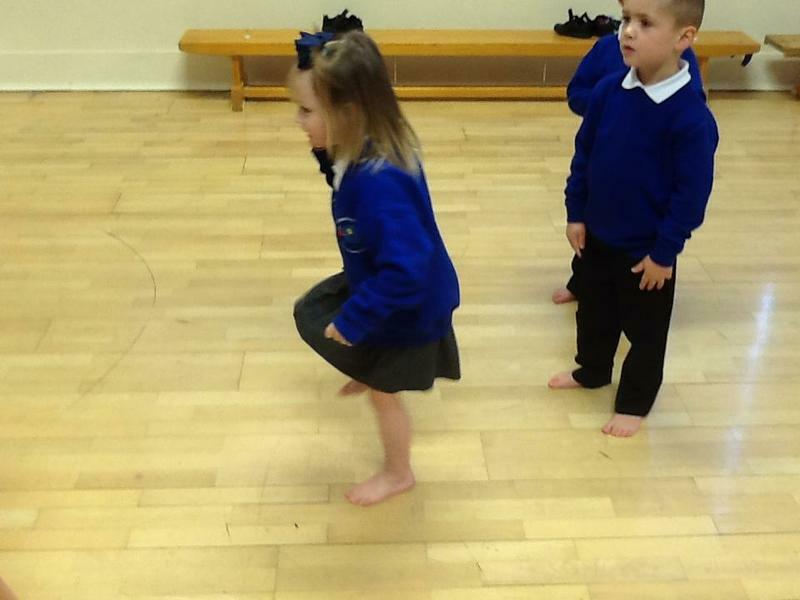 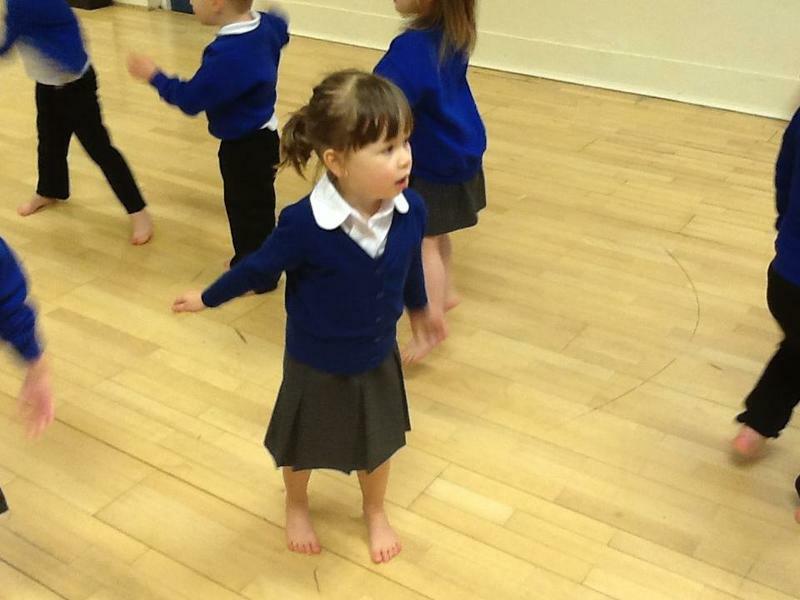 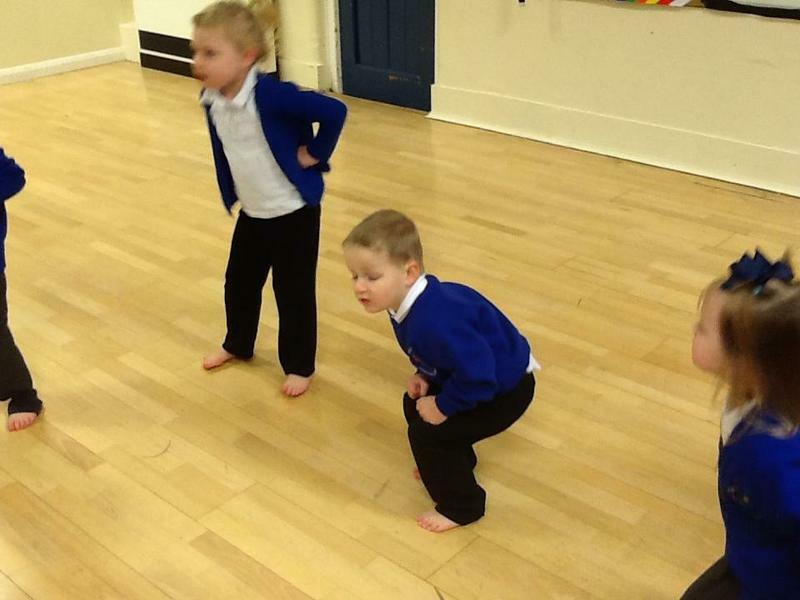 We always have such fun in street dance with Miss Courtney and we have become fabulous little movers. 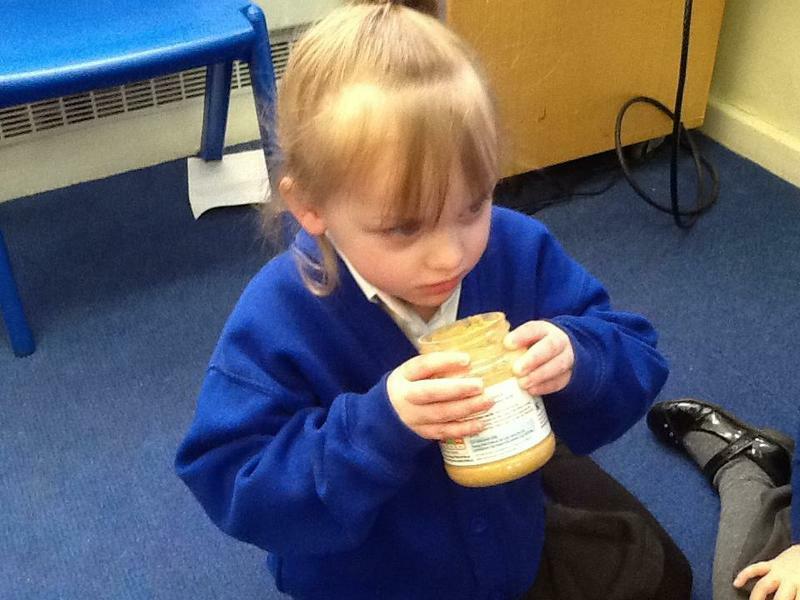 After street dance, we always go into the music room and experiment with the musical instruments. 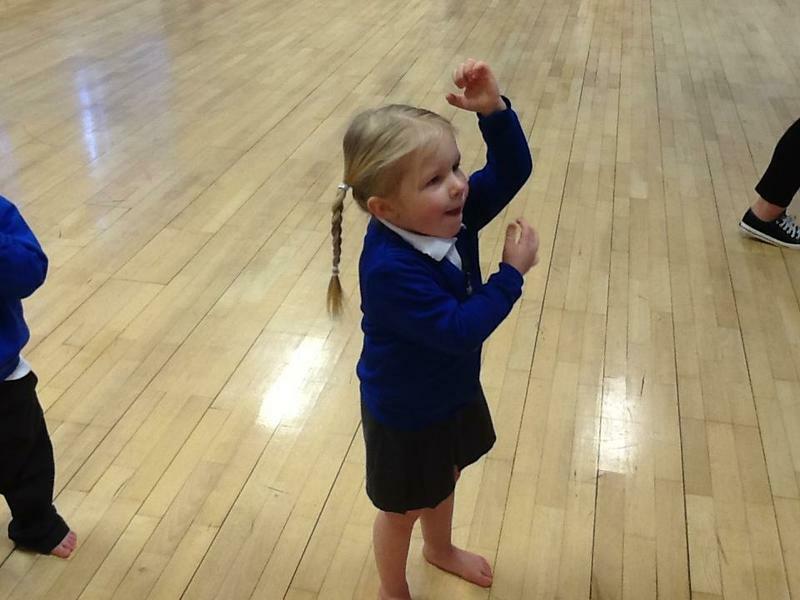 I think there will be a new band auditioning for 'Britain's Got Talent' in the future! 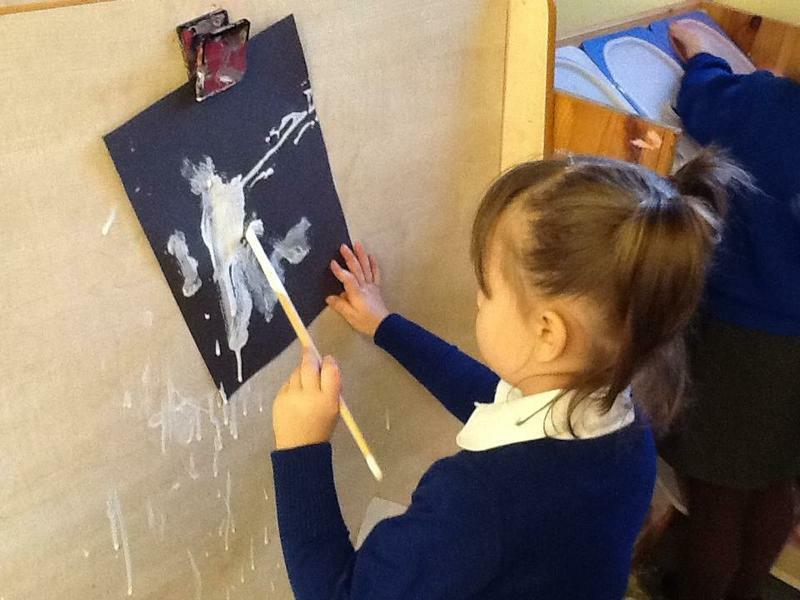 Next half term our topic is robots and we are looking forward to another exciting six weeks of fun and learning. 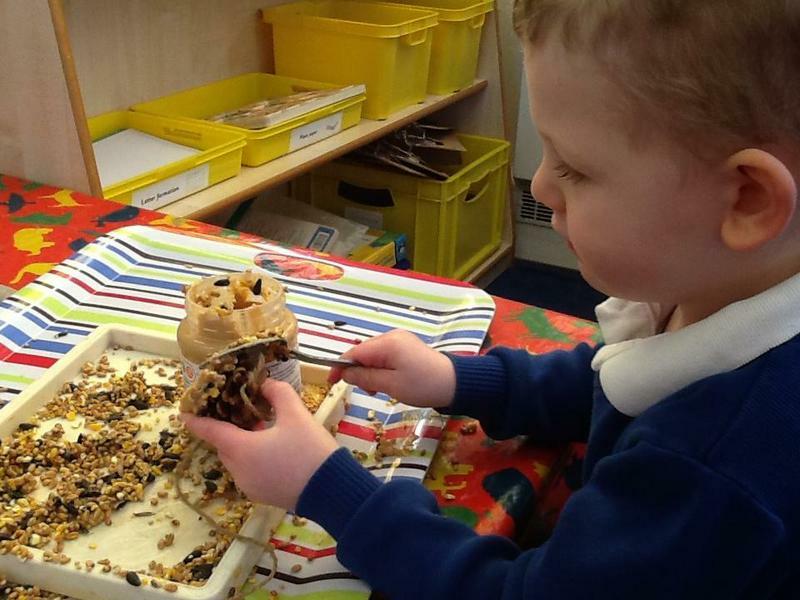 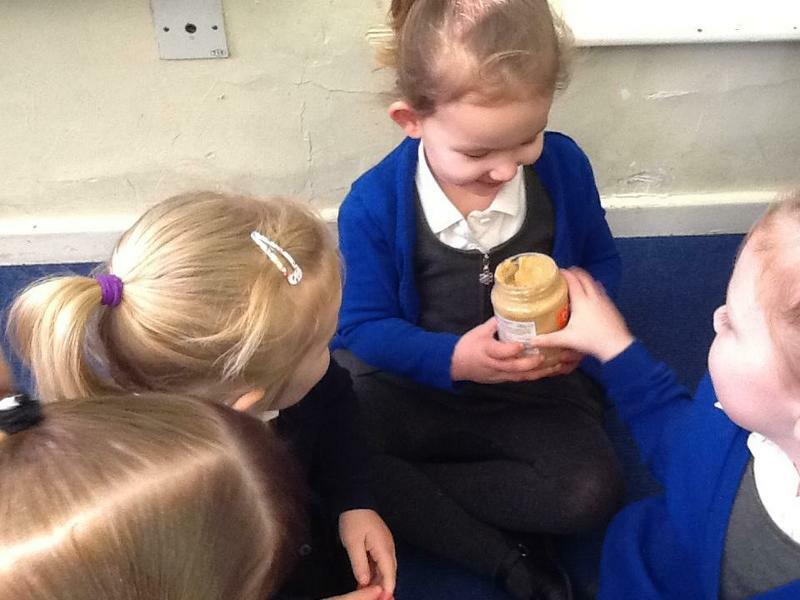 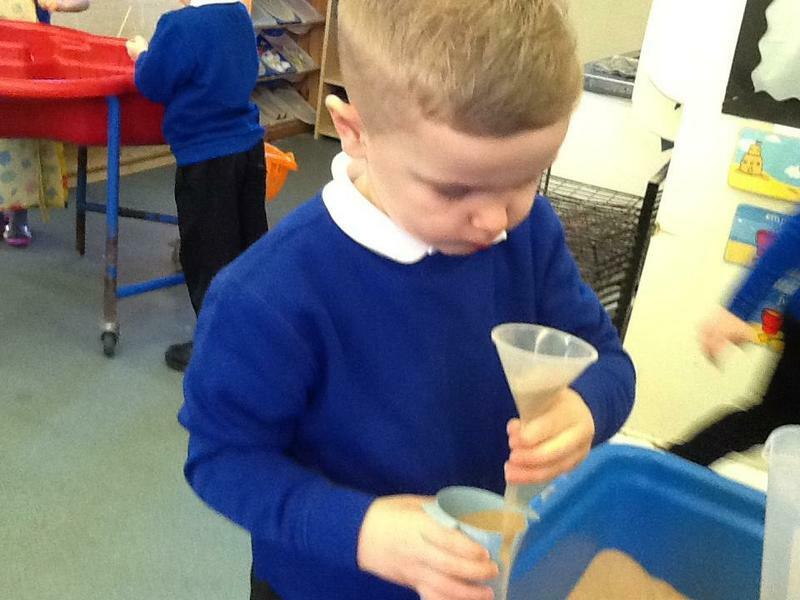 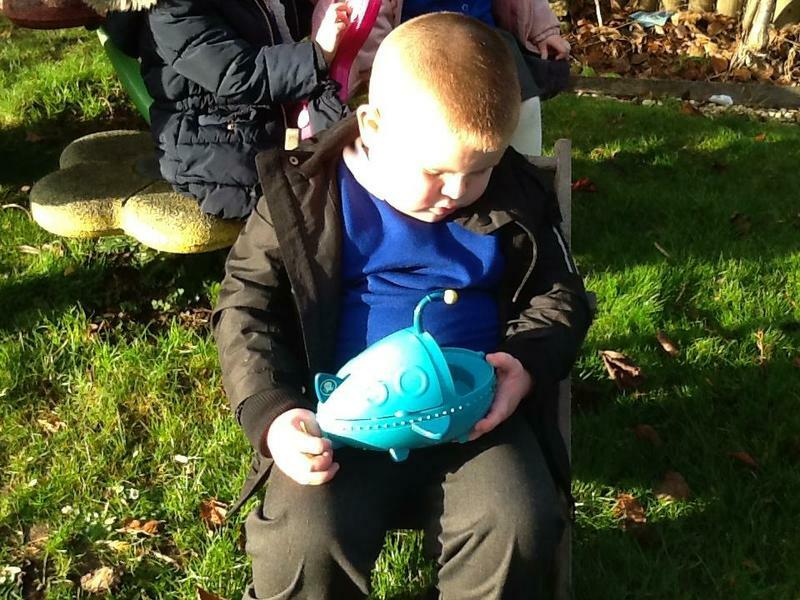 We have been busy making our bird feeder which was just in time to feed them in this cold weather. 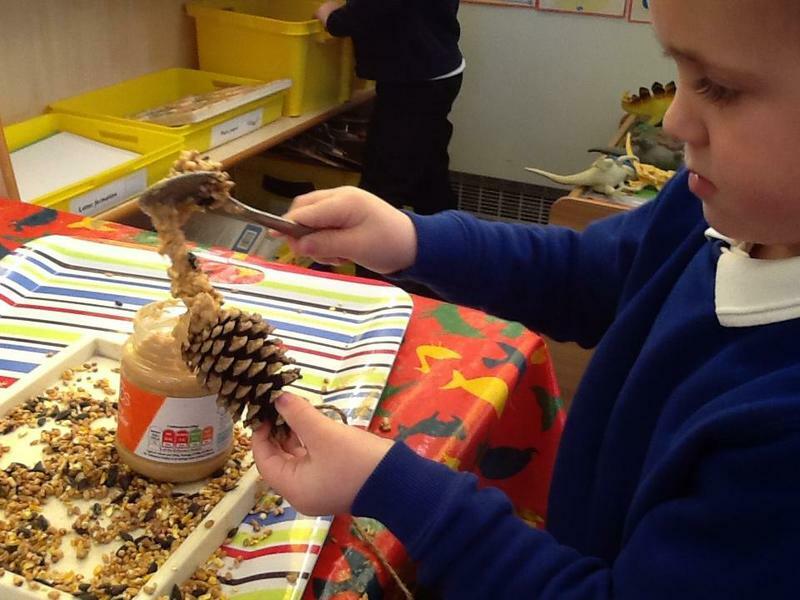 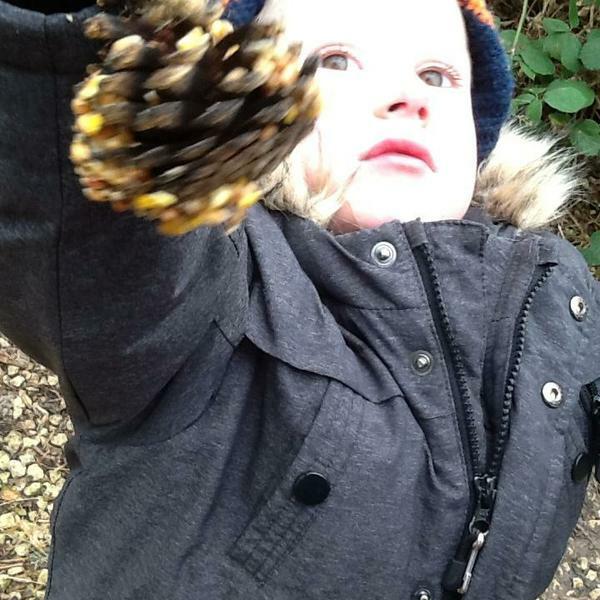 We used pine cones covered in peanut butter and stuck bird seed onto it. 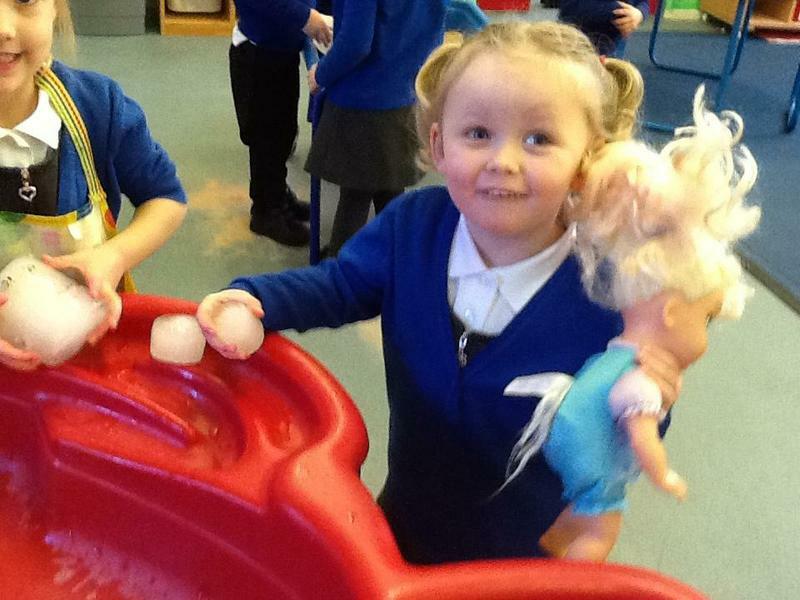 What a good job we did! 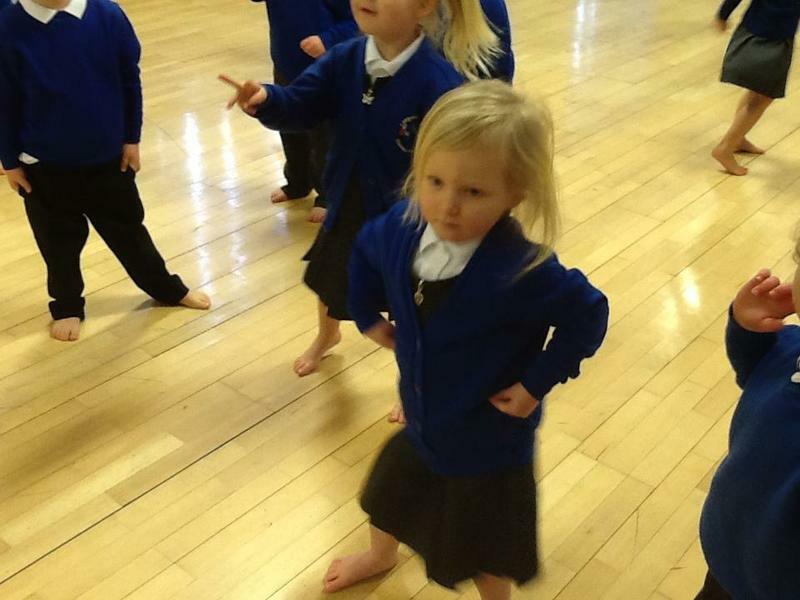 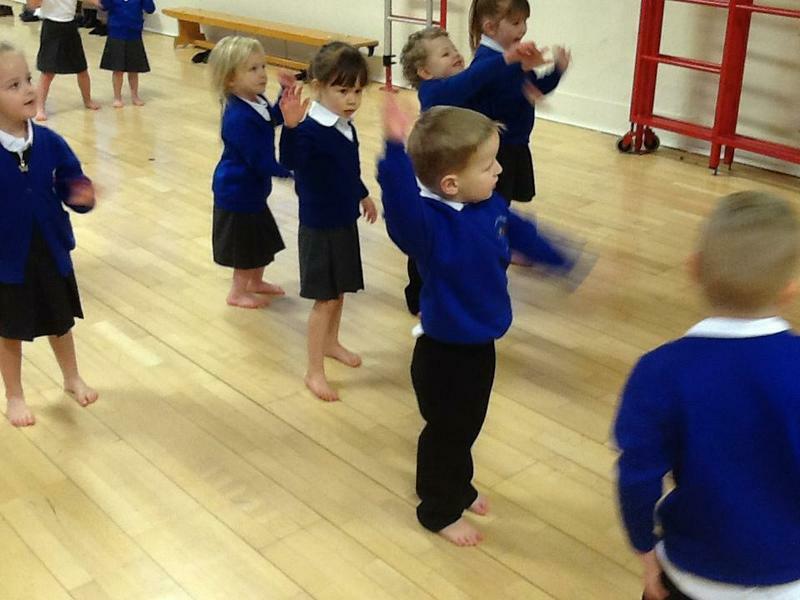 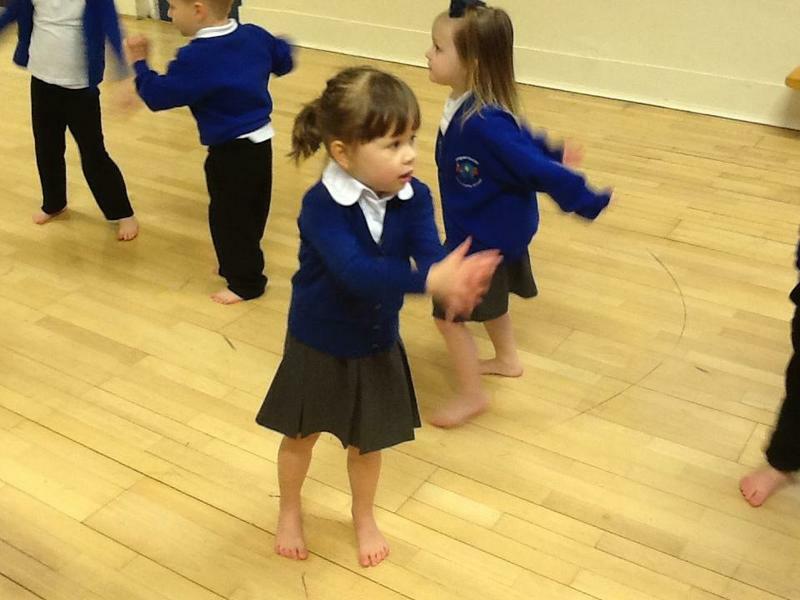 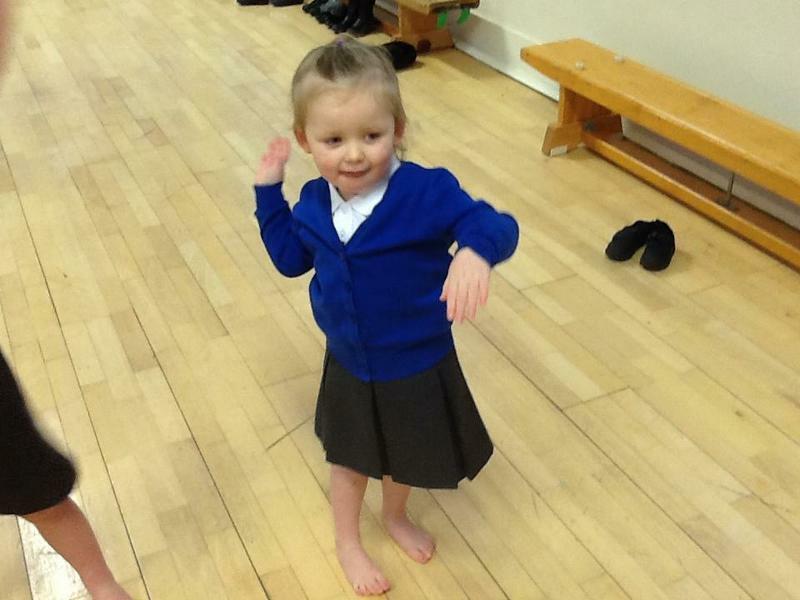 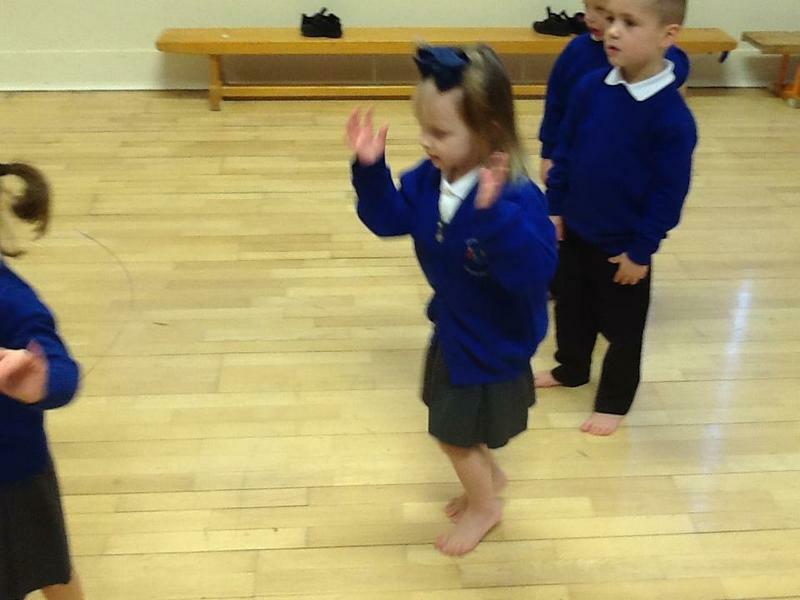 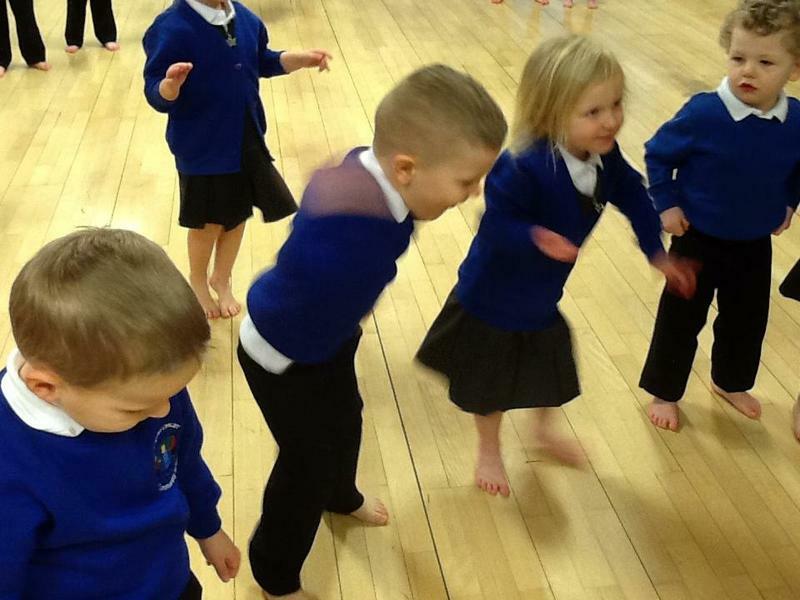 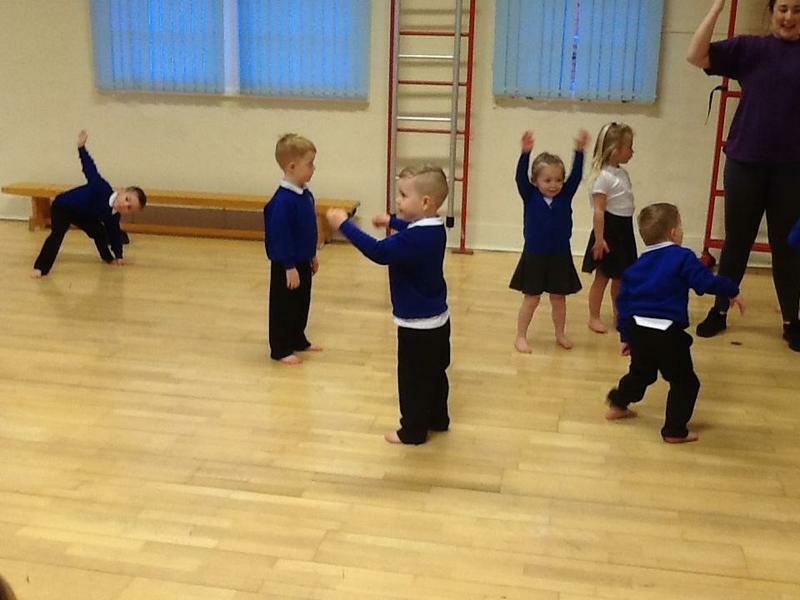 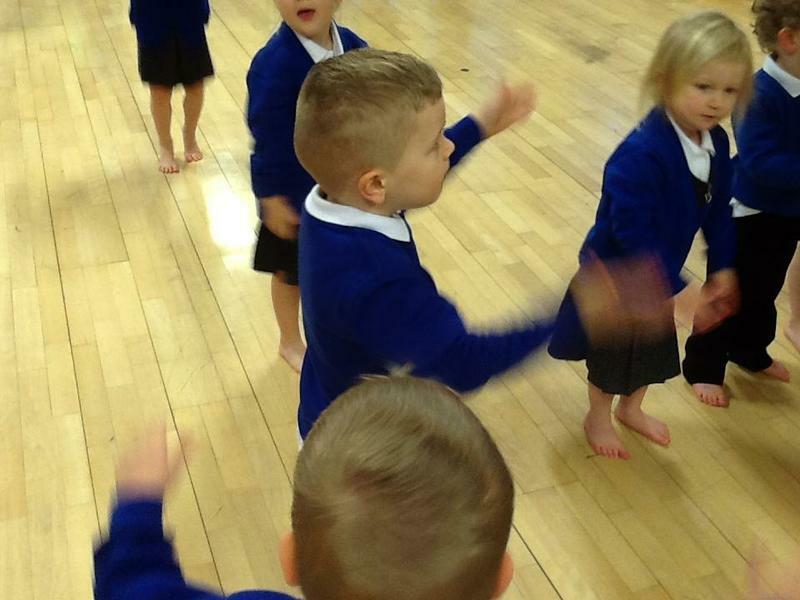 Our new friends really enjoyed streetdance with Miss Courtney and were eager to show us their moves! 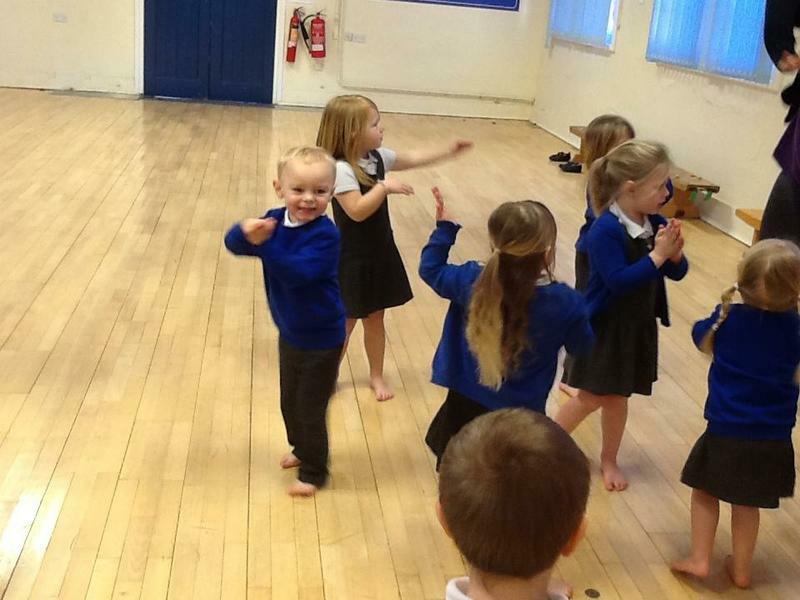 Have they been doing any routines at home?! 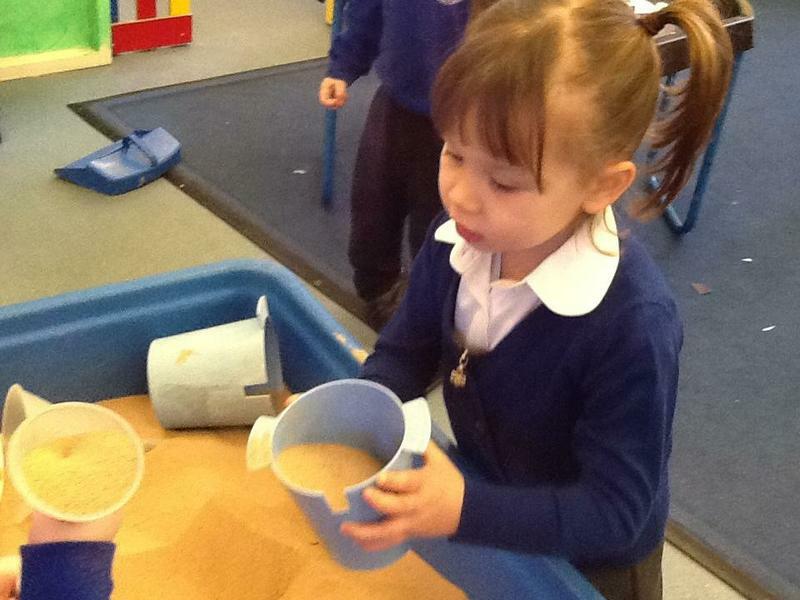 I wonder what they will be doing next week! 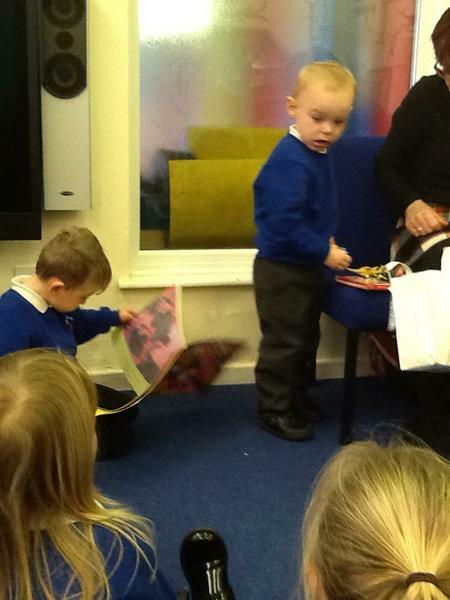 This week we have visited Langold Library. 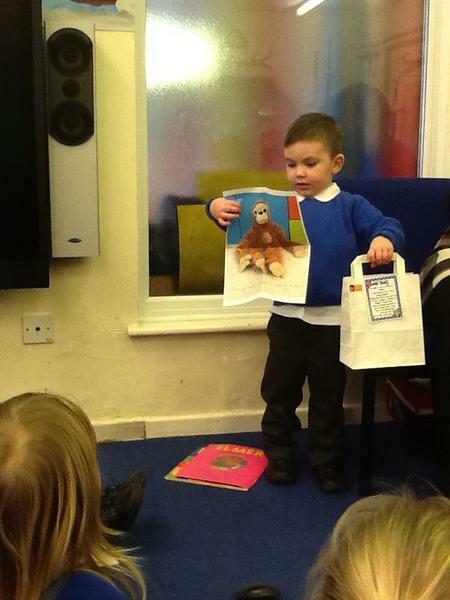 We had a song and story session and then we chose a new week. 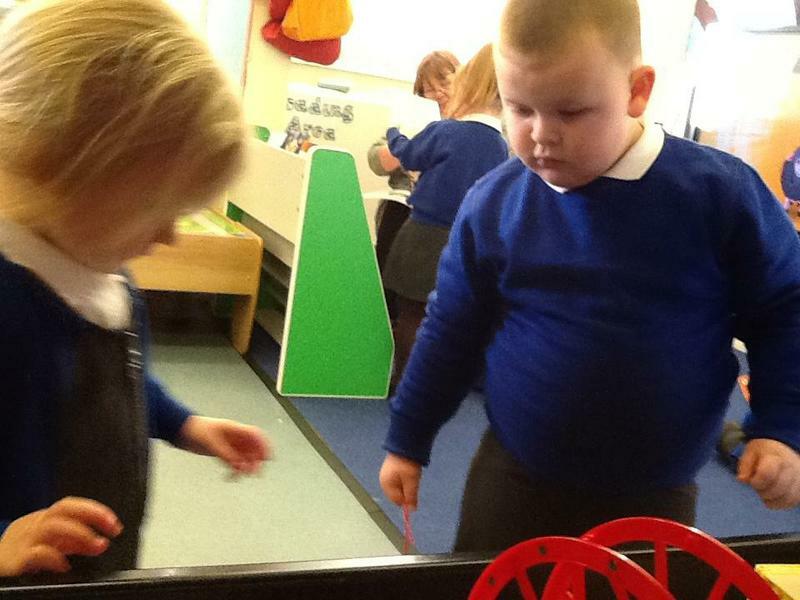 We are so excited for next week as we meet all our new F1 friends! 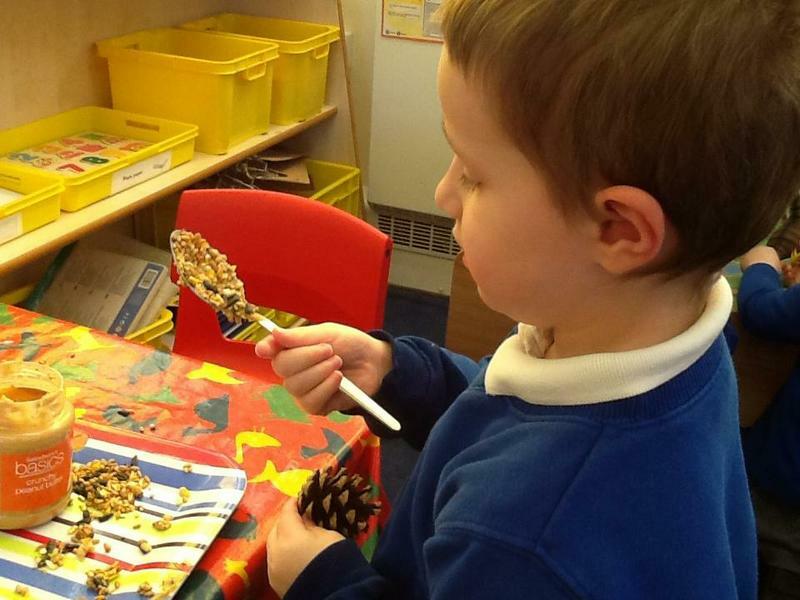 We will be starting our new Winter Wonderland topic. 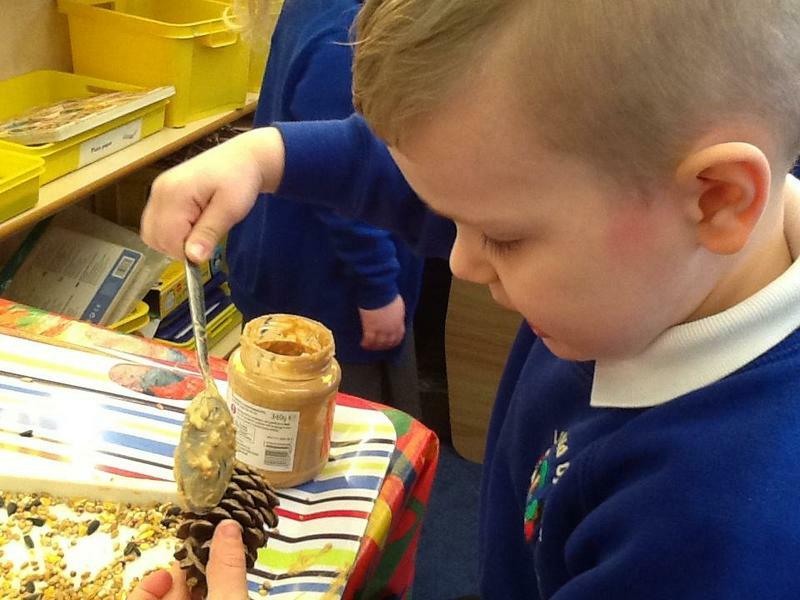 It's going to be exciting! 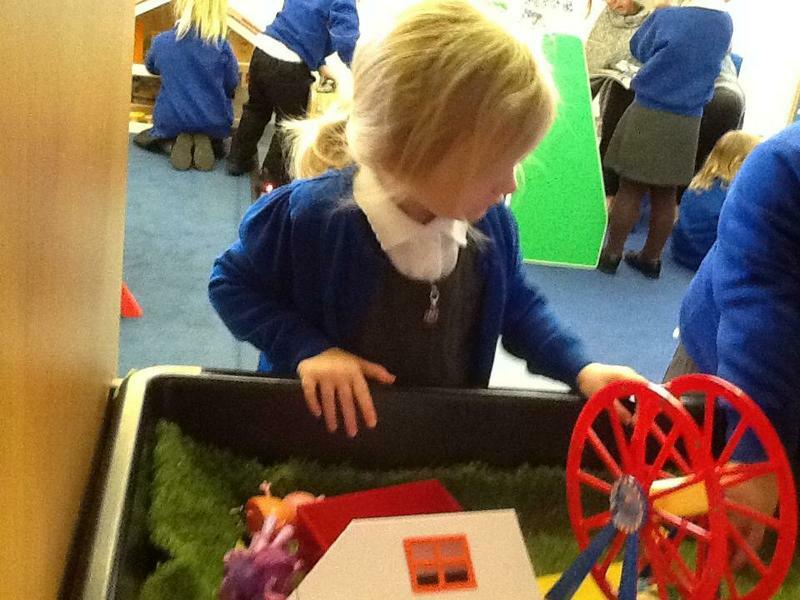 This half term we will be reading Farmer Duck for the first week and collaborating with F2 on our Foundation display. 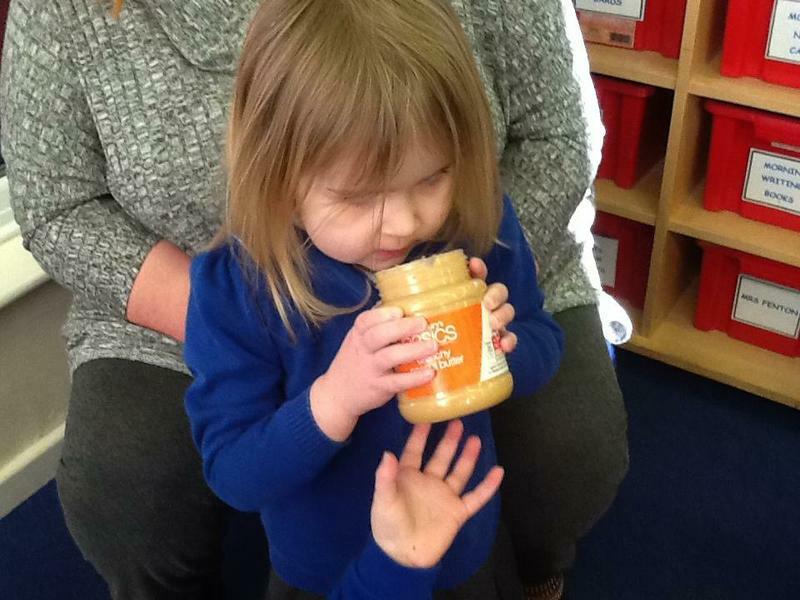 In week 2 we will welcome our new friends and develop new friendship! 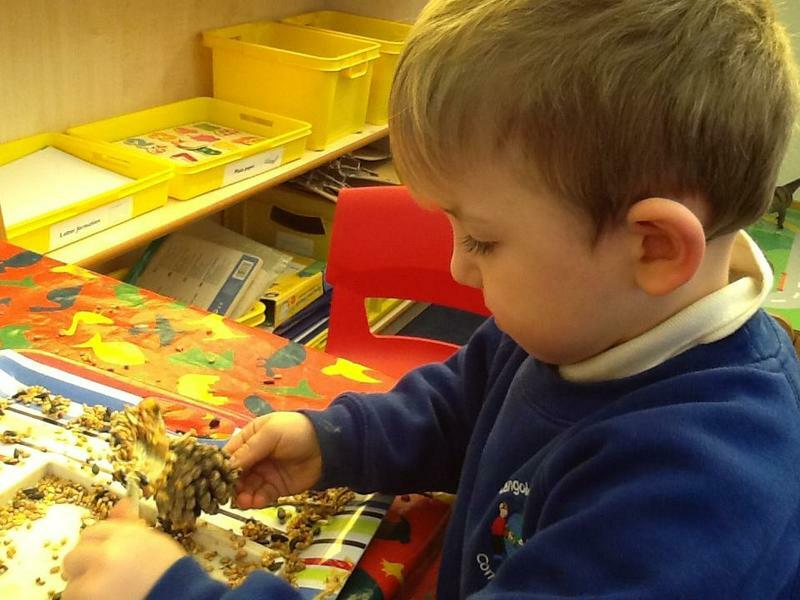 Our topic will be Winter Wonderland. 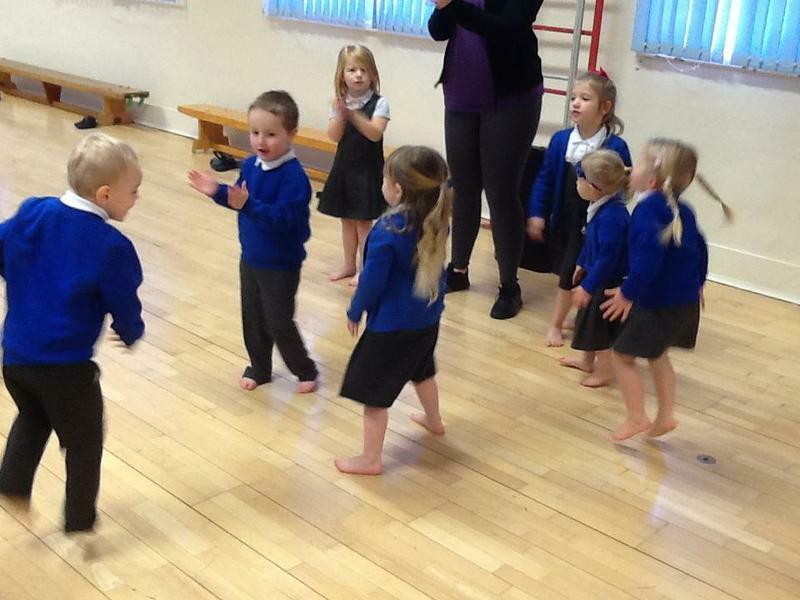 We will be participating in our weekly Suretots sessions, Street dance, Tree-mendous Tuesday adventures as well as going on a library visit on Tuesday for the morning children and Thursday for the afternoon children. 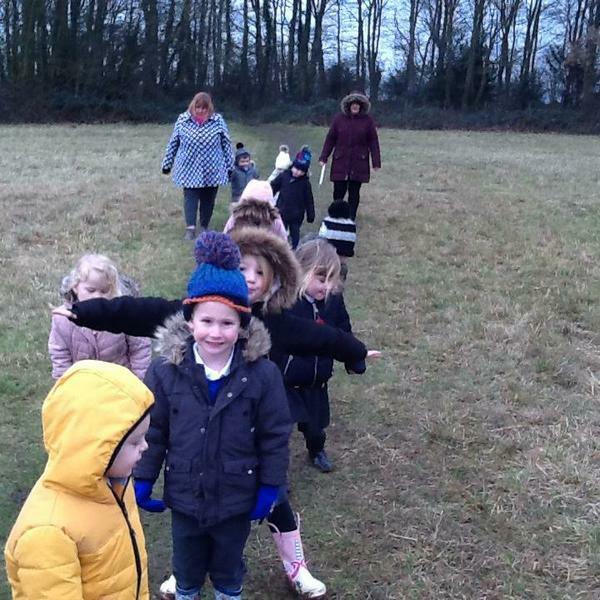 What a busy half term it's going to be! 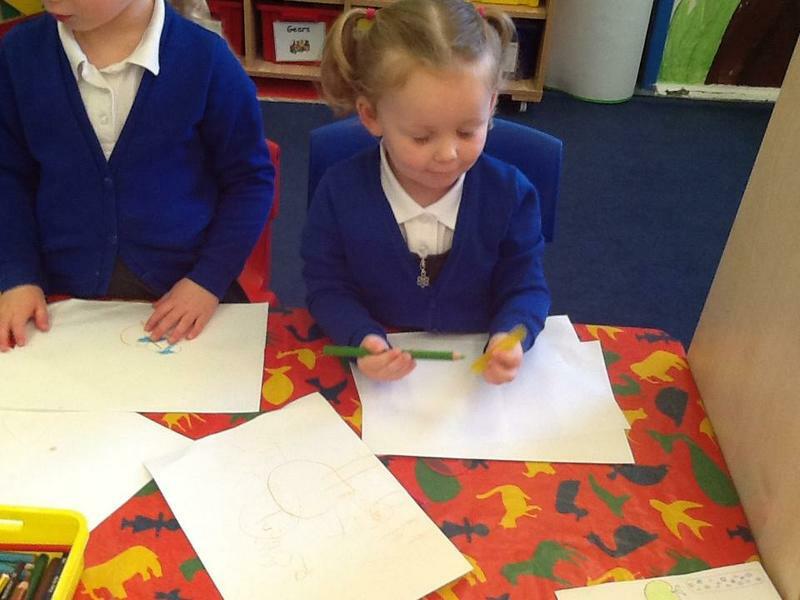 This week in nursery we have been writing our Christmas lists ready to send to Santa when we go to post them in the post box on School Road. 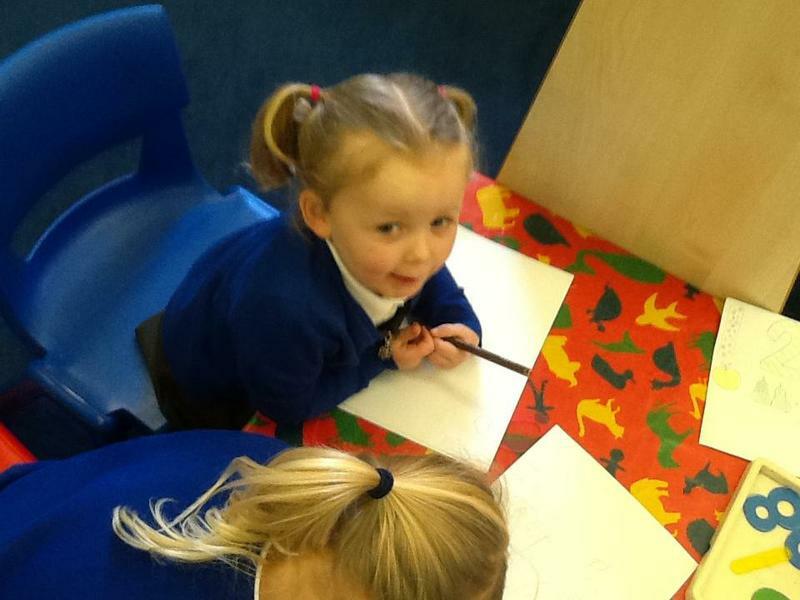 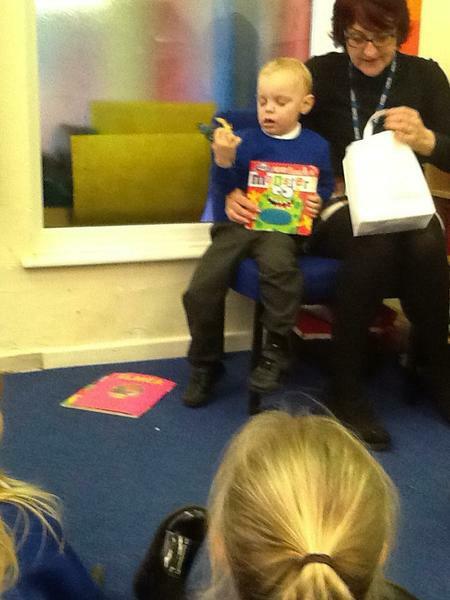 The children enjoyed giving meaning to their marks by explaining to Mrs Fenton and Mrs Chapman what they had written. 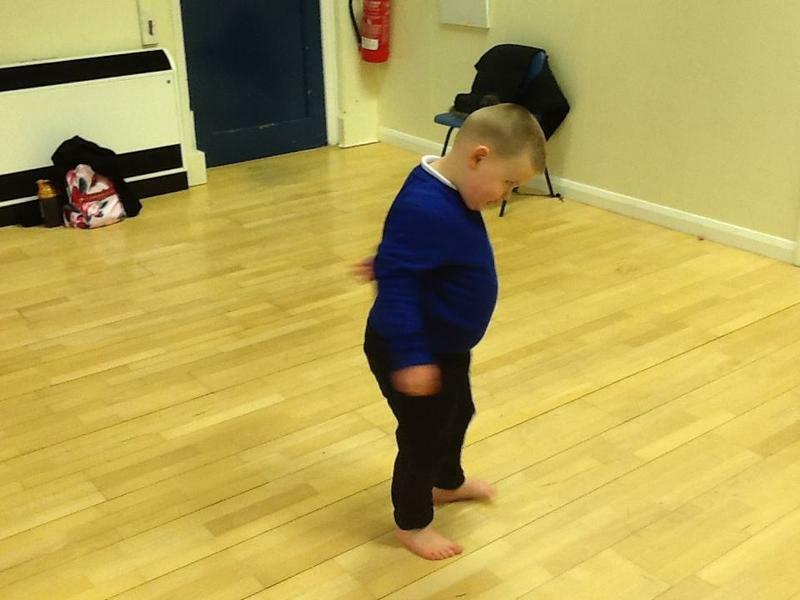 They have enjoyed participating in Suretots sessions where they have moved along the apparatus in different ways and joined in with action songs. 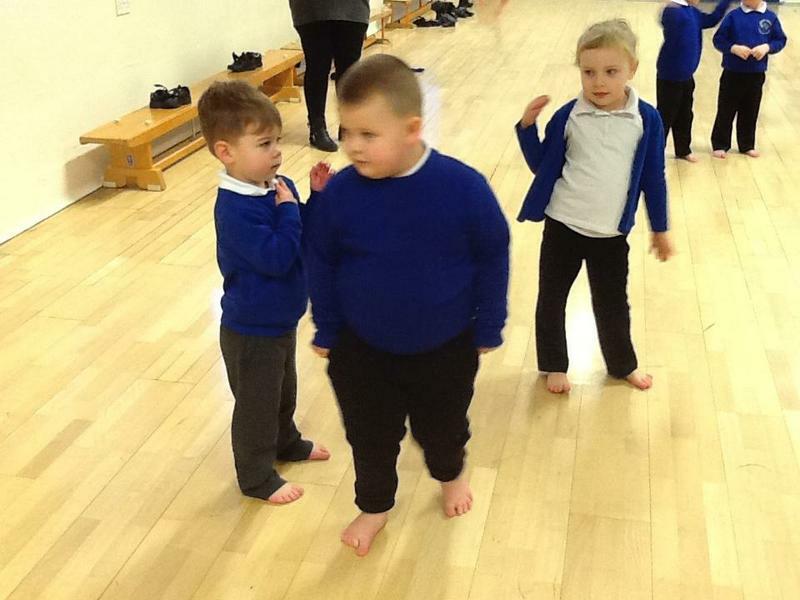 There confidence has improved so much. 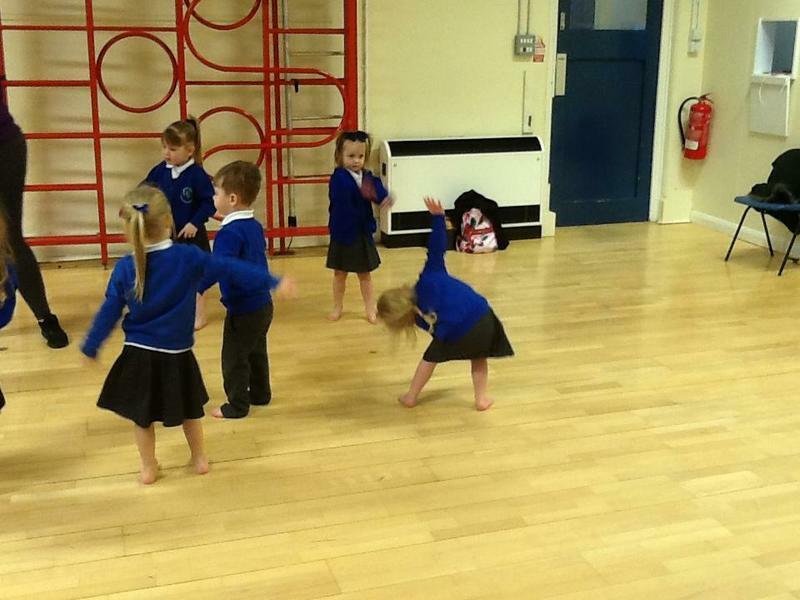 This is also evident when they join in with Miss Courtney's Street dance sessions. 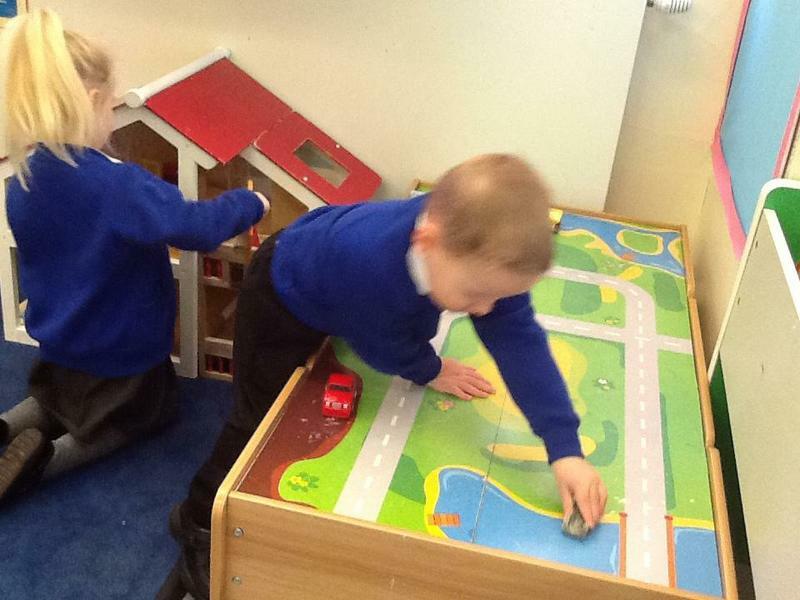 Phonics sessions have been fun as they play games to improve their listening skills in phase 1 so that they are ready to begin phase 2 where they start to learn some sounds! 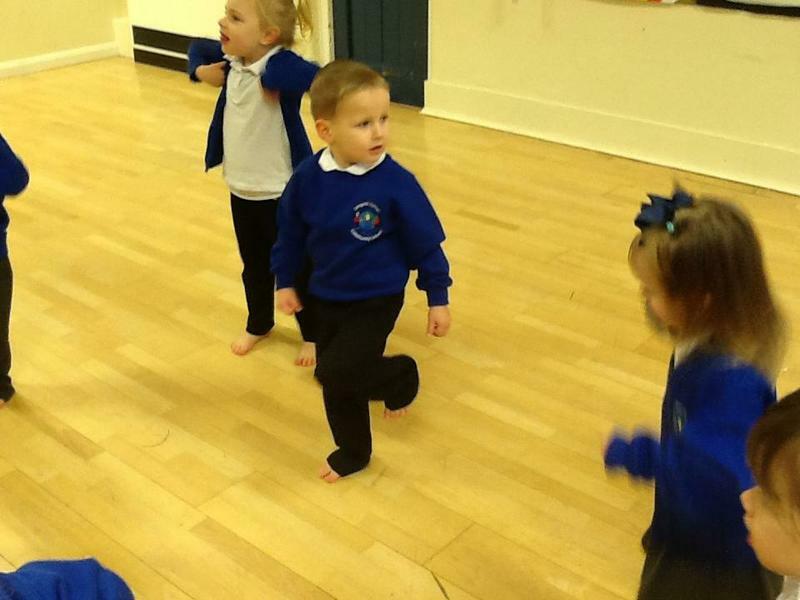 Next week are our Nativities and the children have been eagerly learning the songs to sing to all of you who are coming to watch. 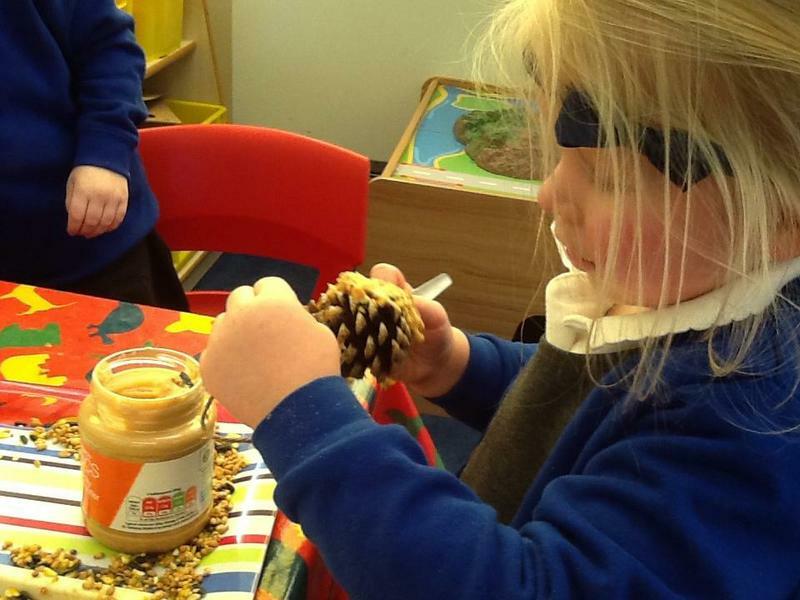 Get your tissues at the ready because they are amazing!